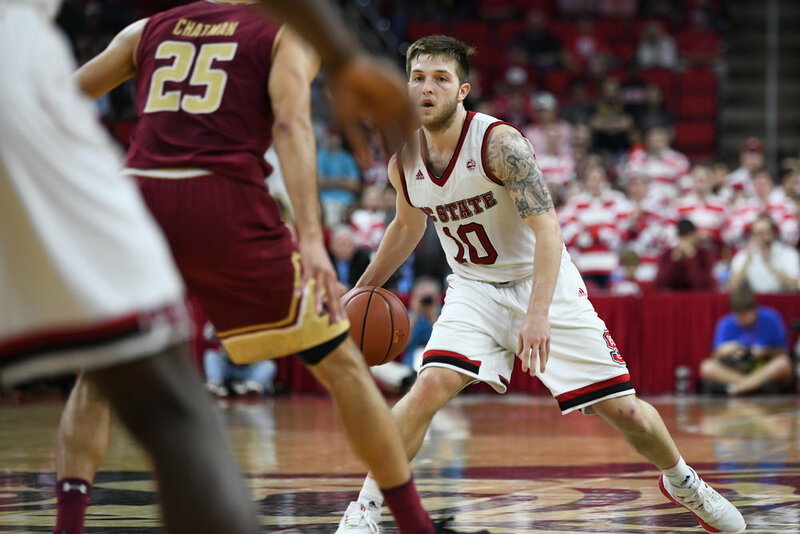 Boston College defeats NC State 91-87 at the Barclays Center, Brooklyn, NY in the second round of the ACC Tournament. 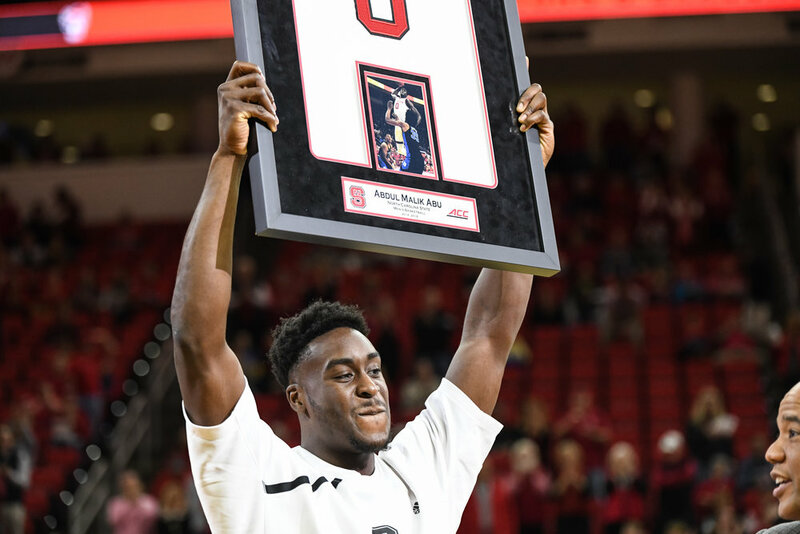 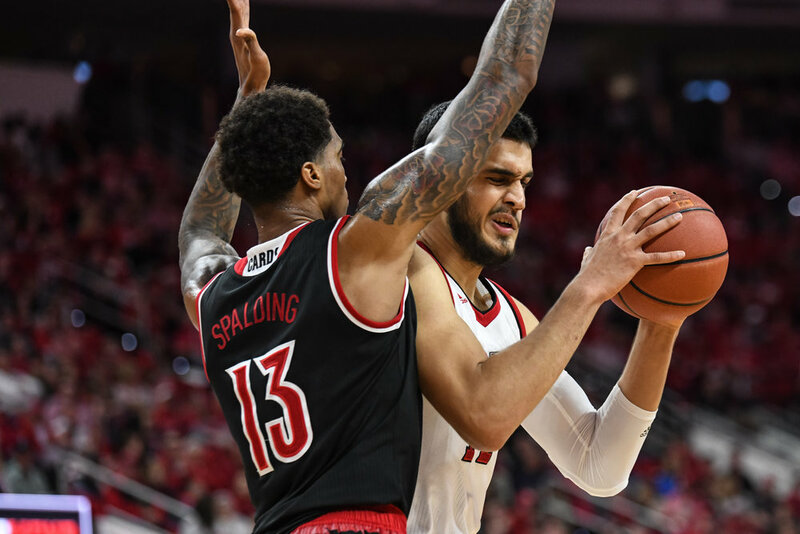 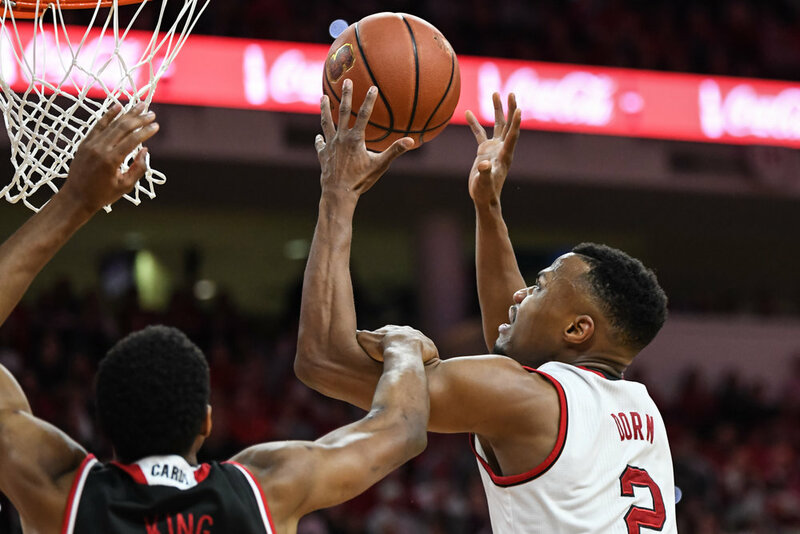 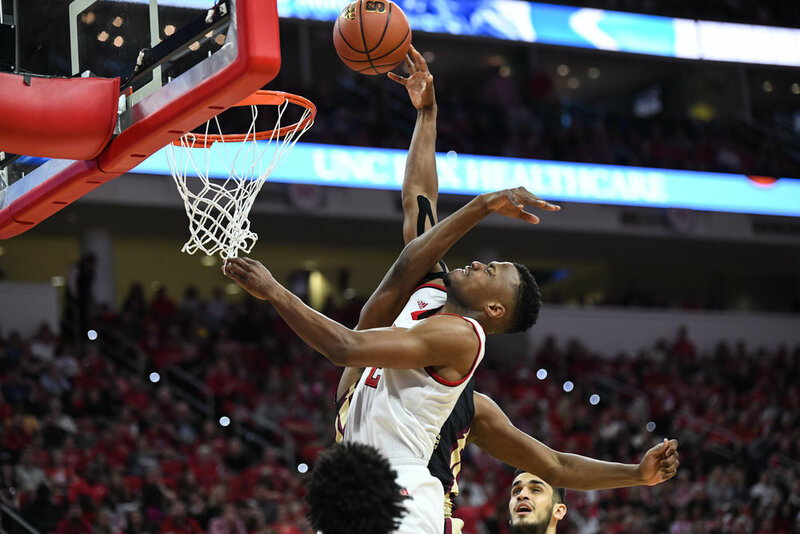 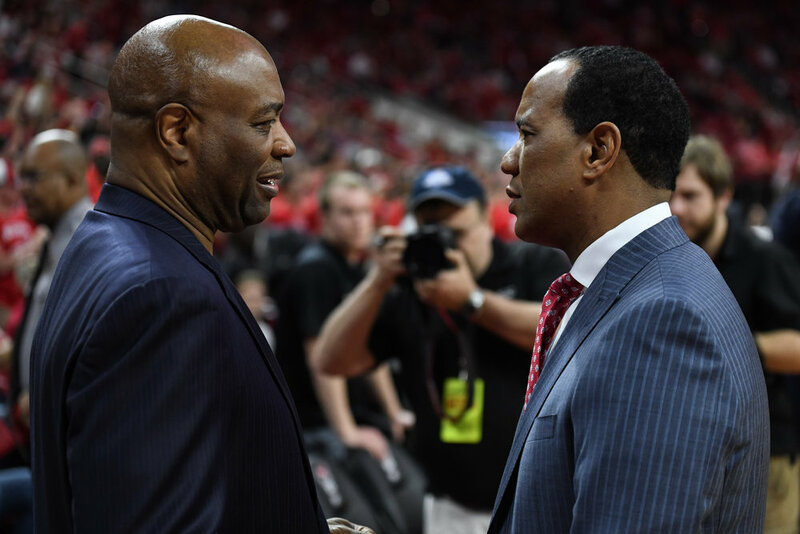 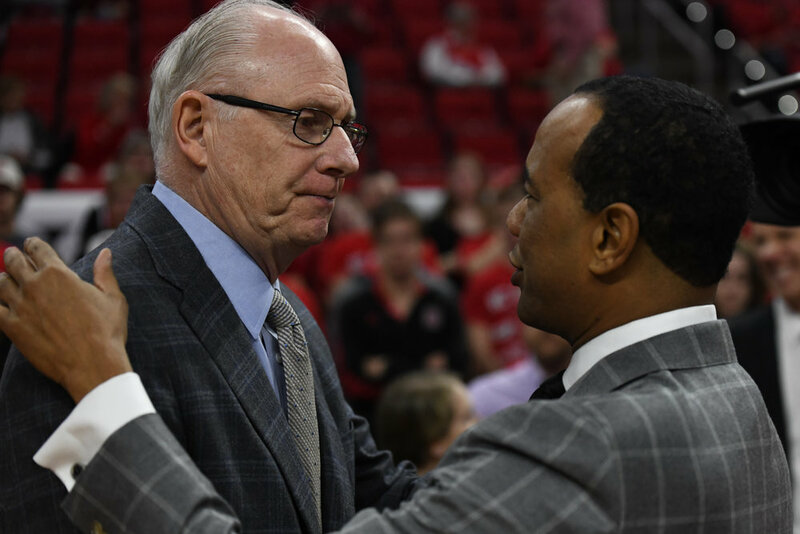 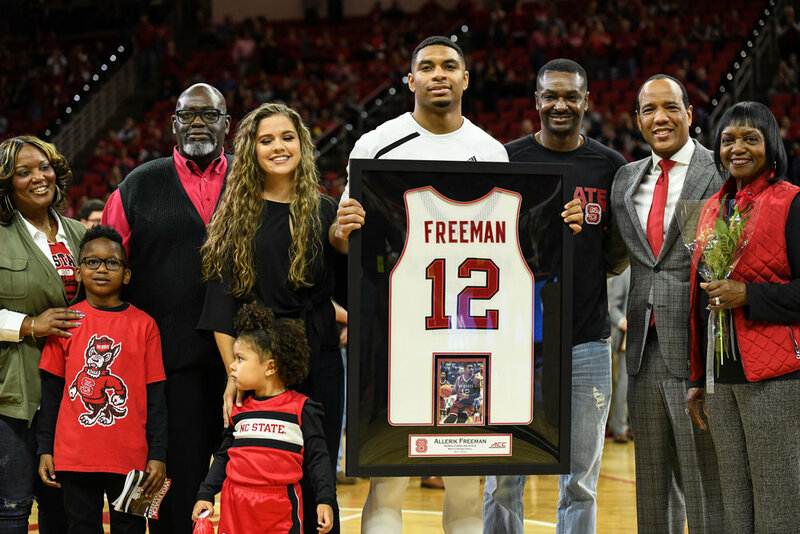 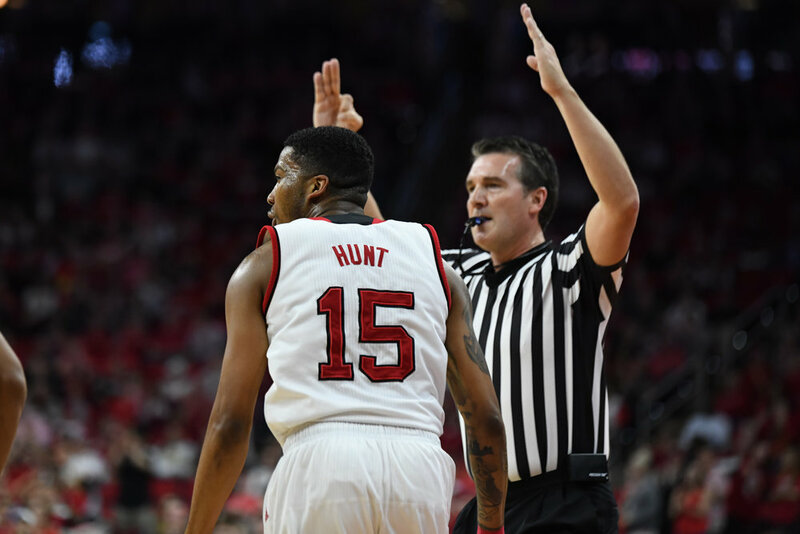 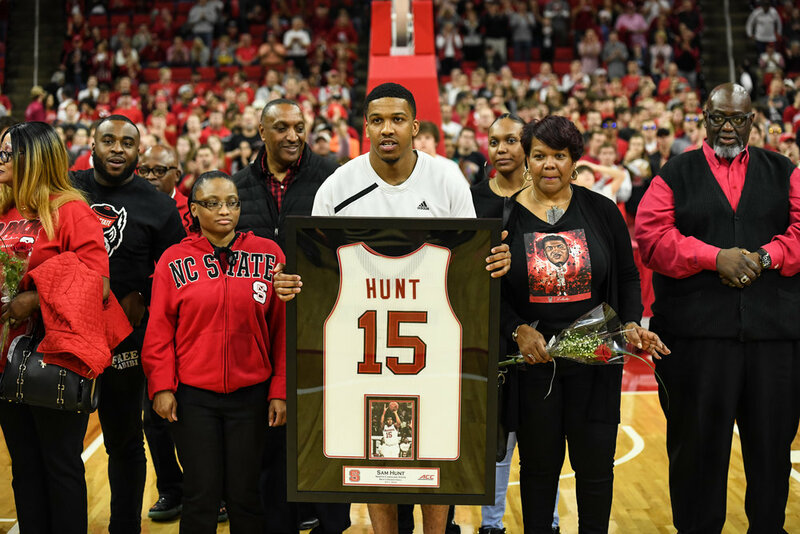 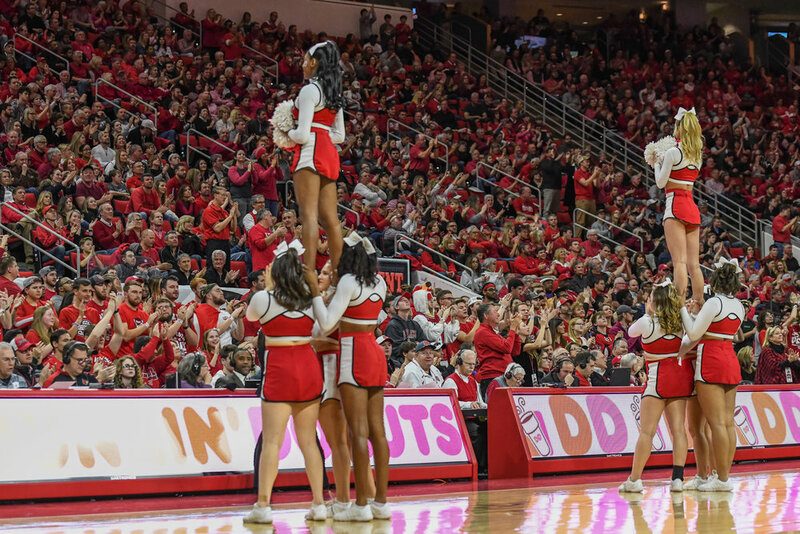 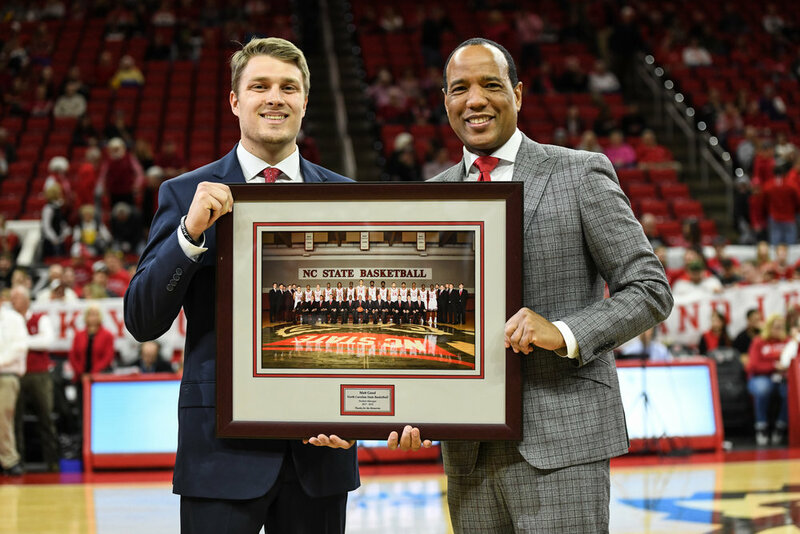 NC State defeated Louisville on Senior Day 76-69 in Raleigh, NC. 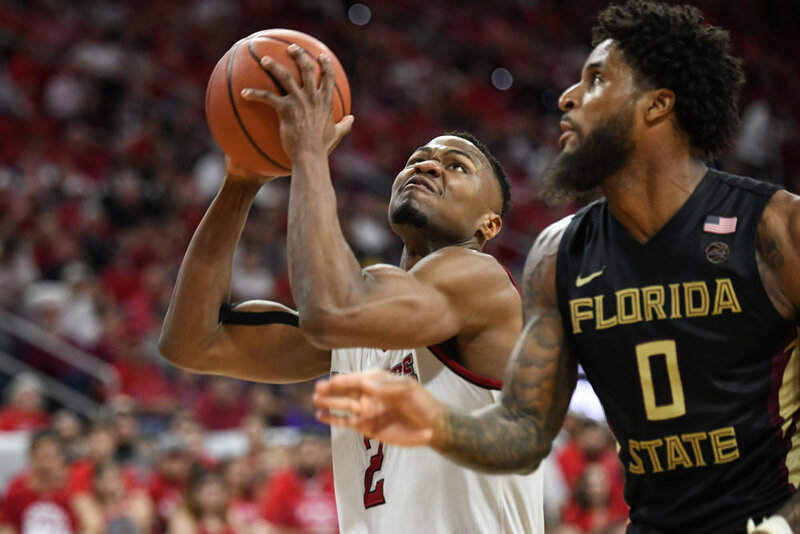 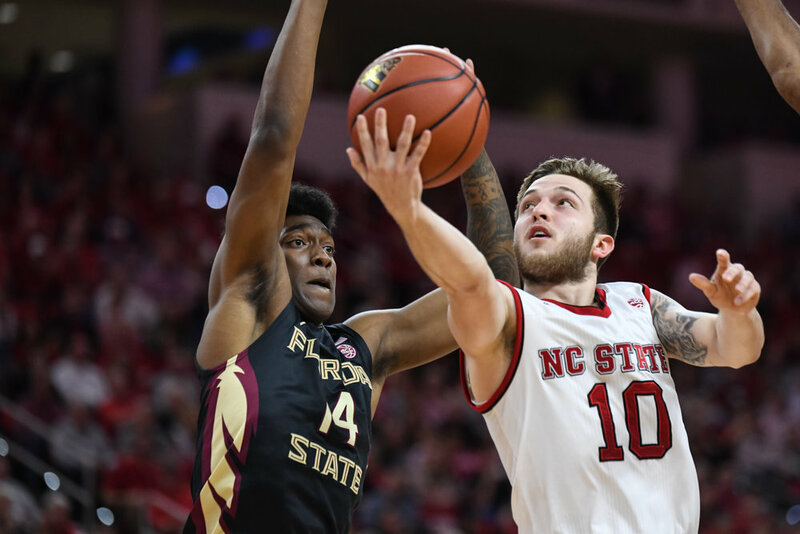 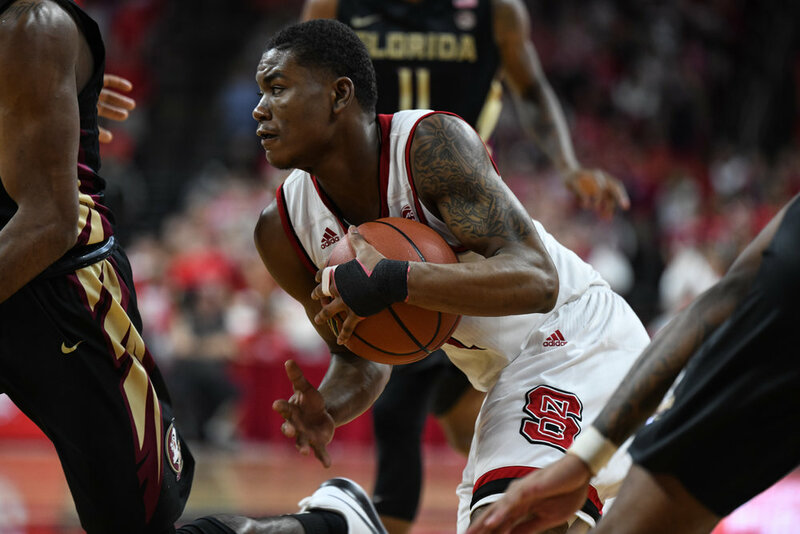 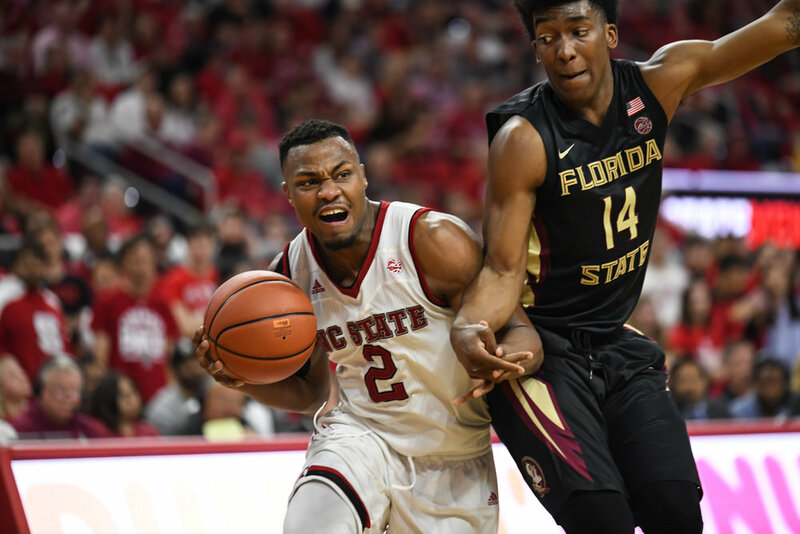 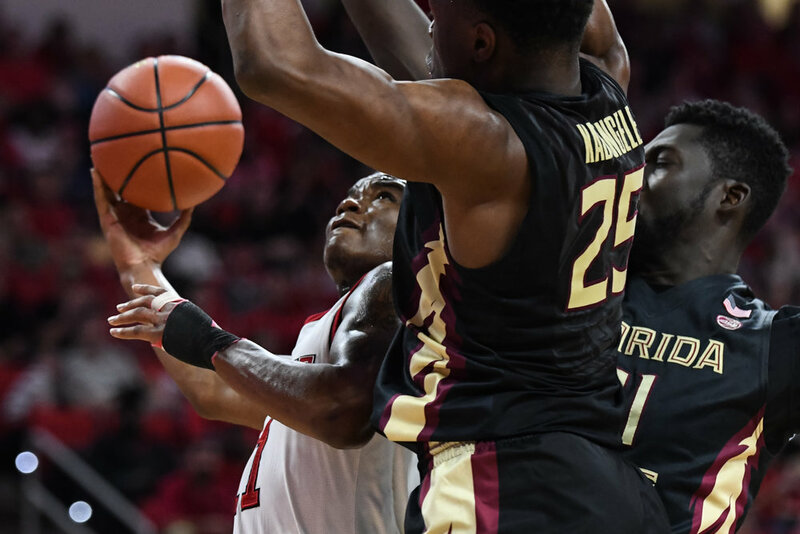 NC State defeated Florida State 92-72 in Raleigh, NC to move into a tie for 4th place in the ACC standings. 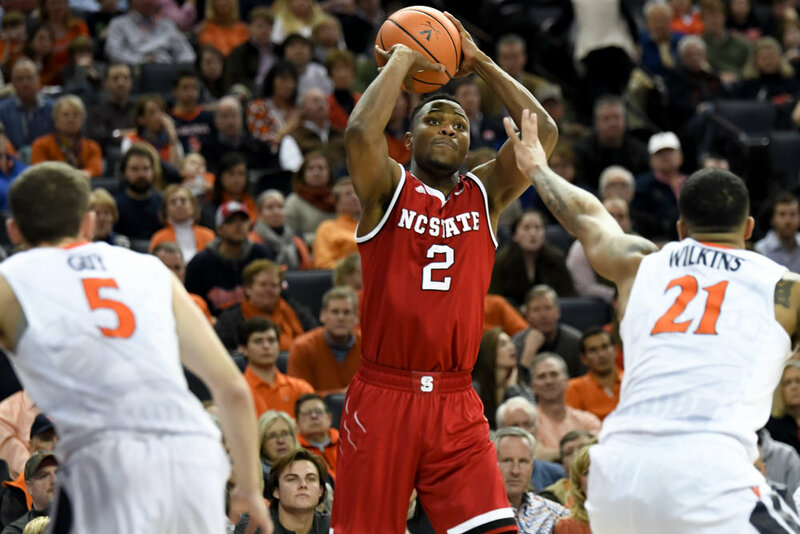 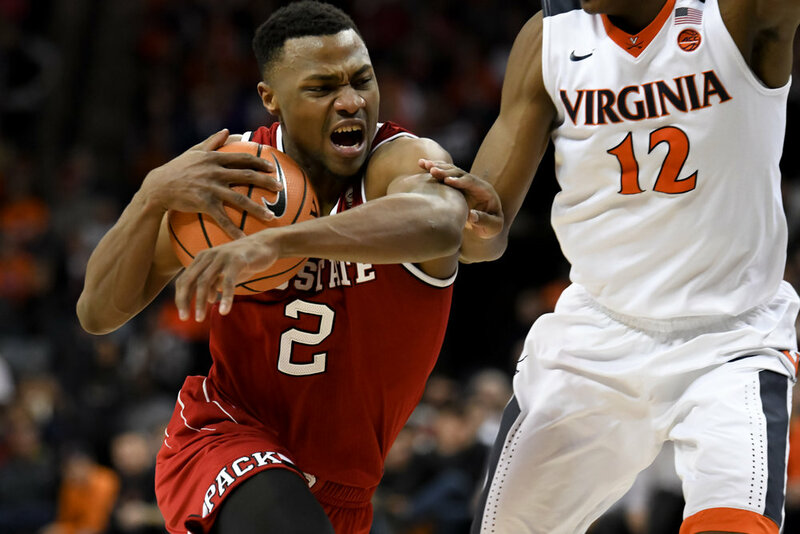 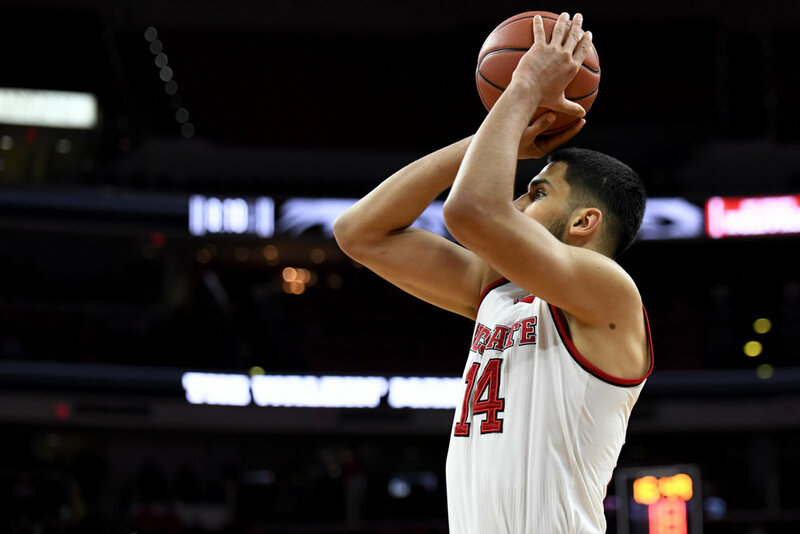 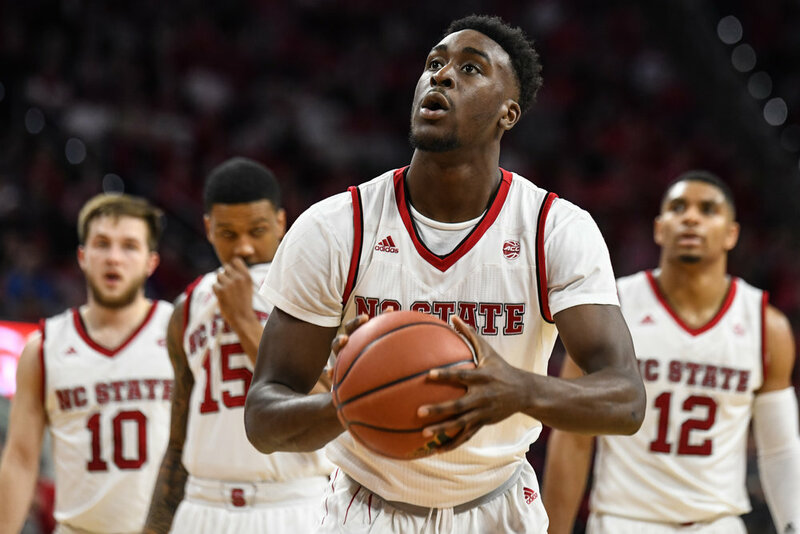 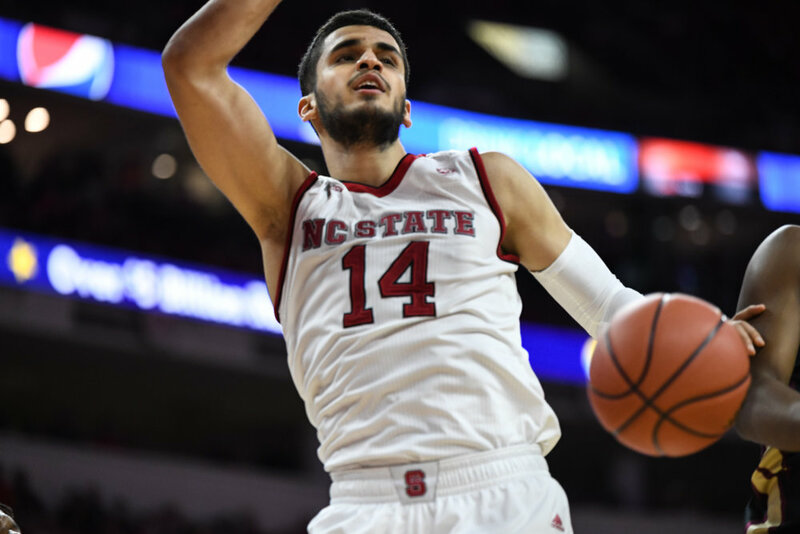 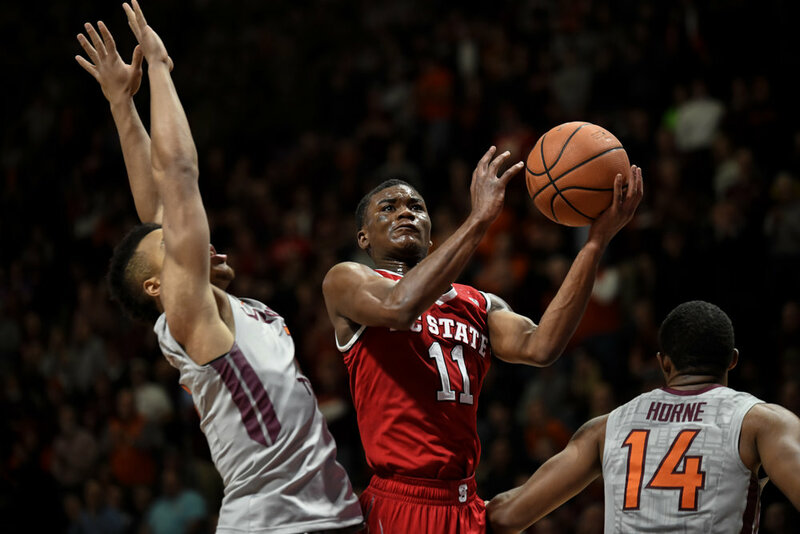 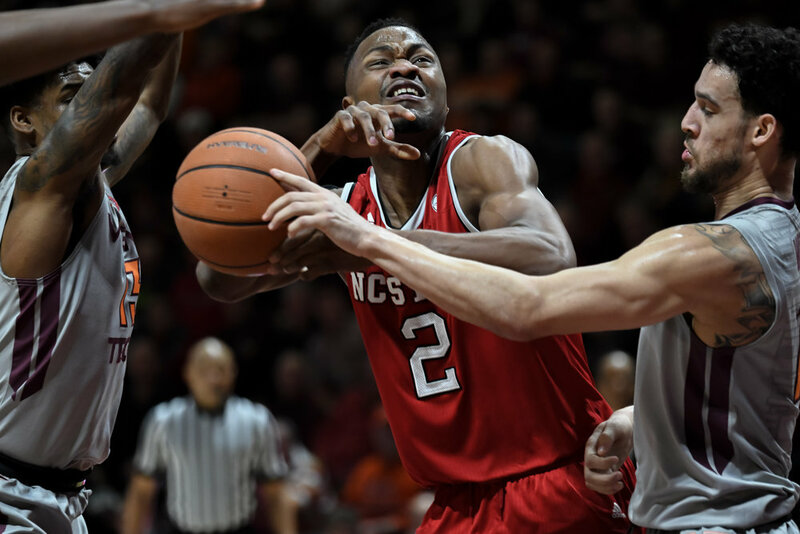 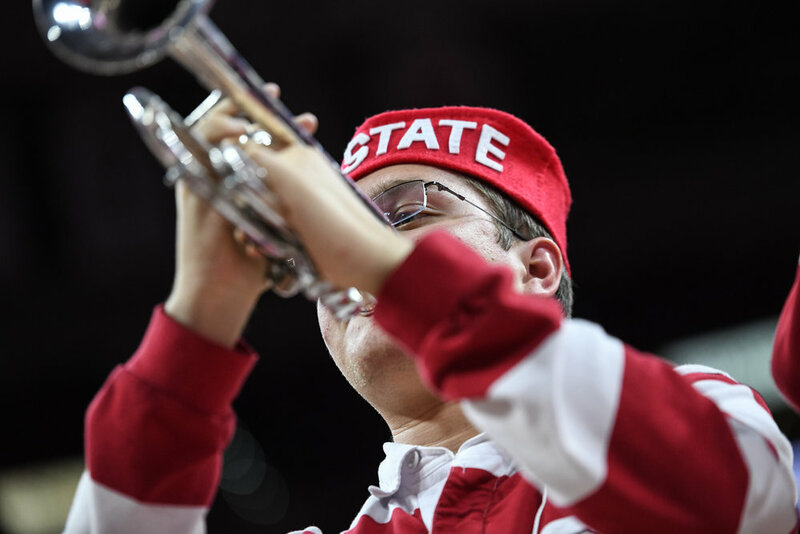 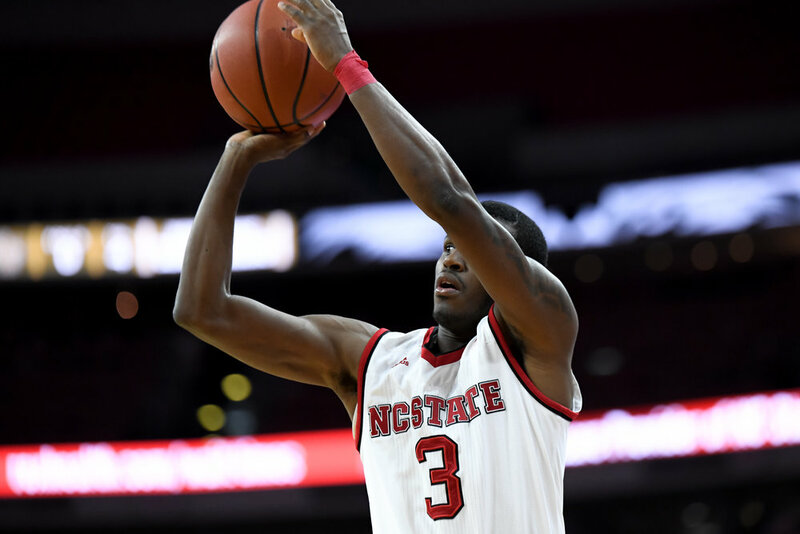 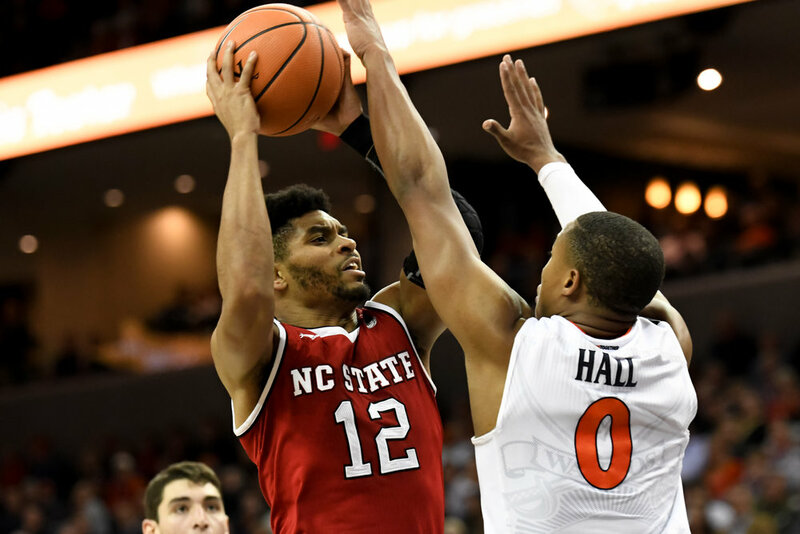 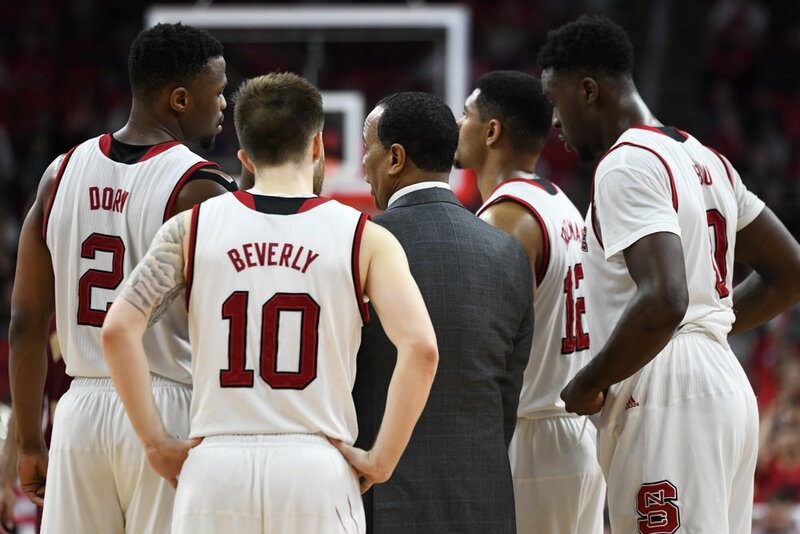 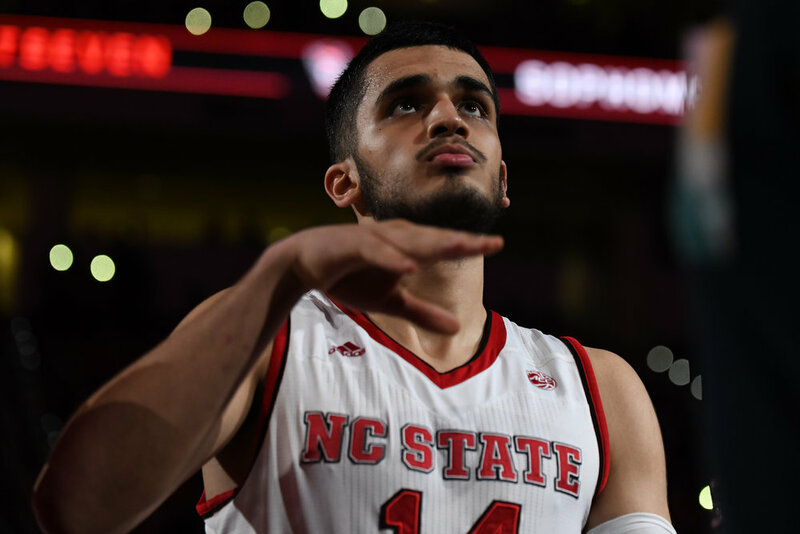 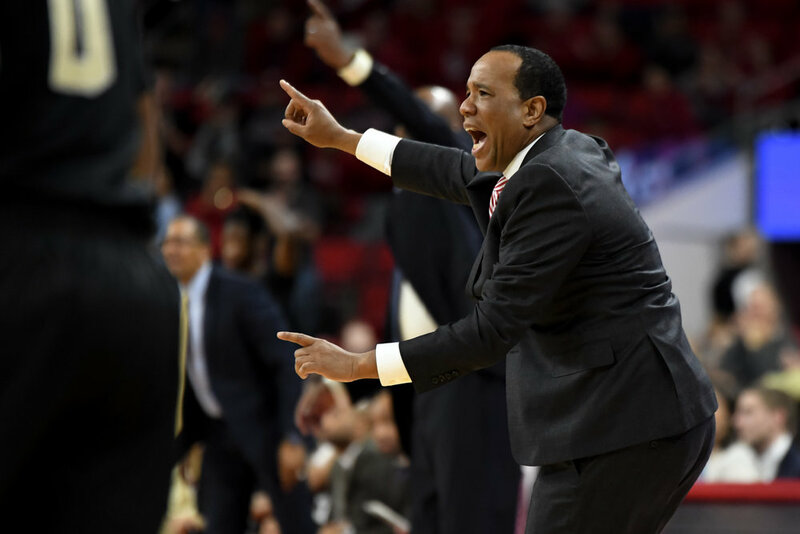 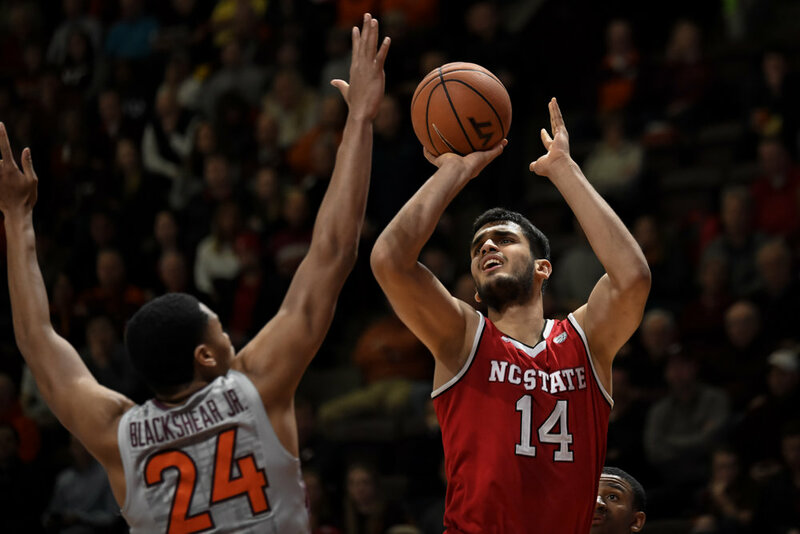 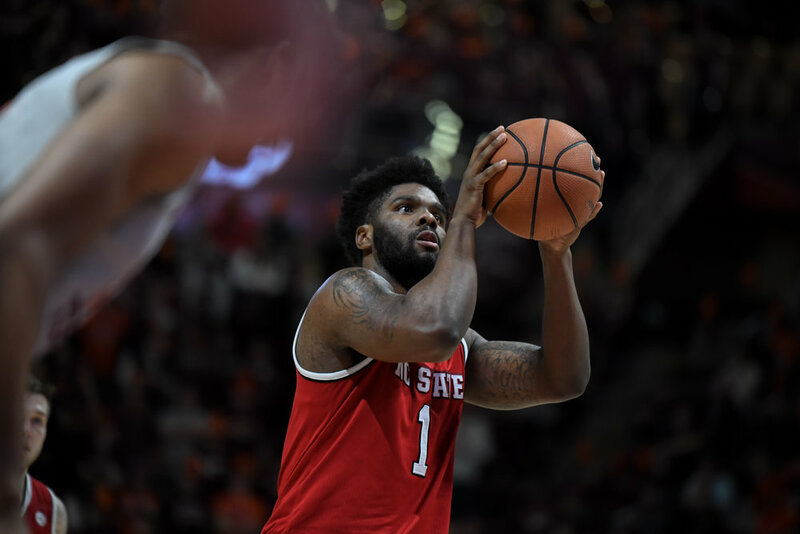 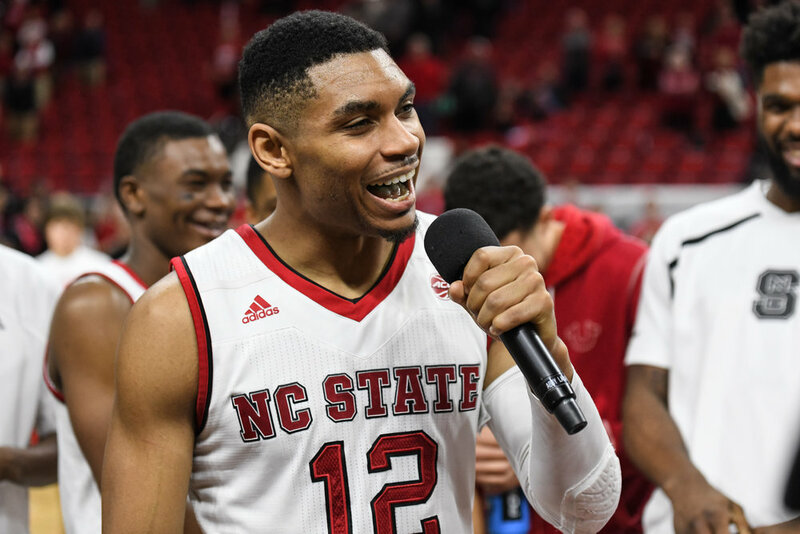 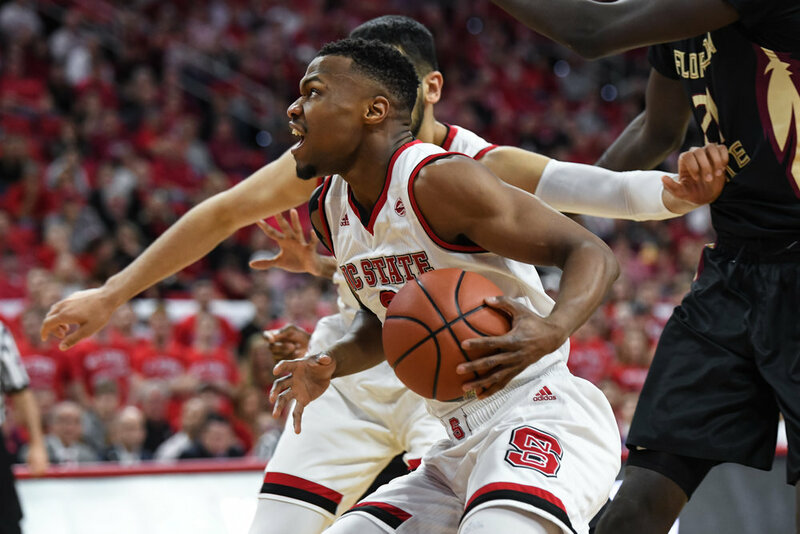 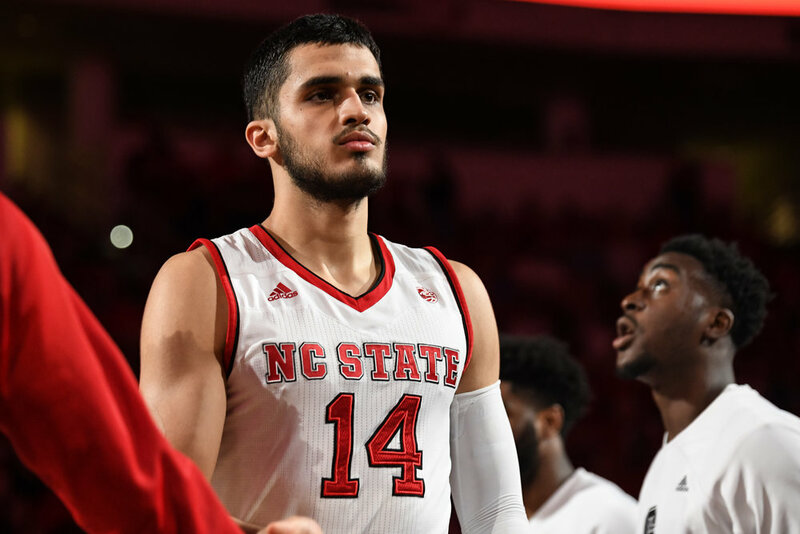 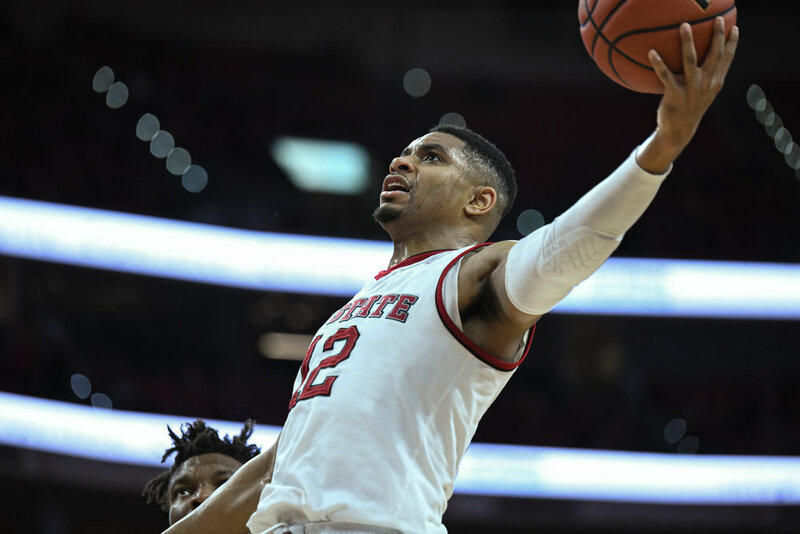 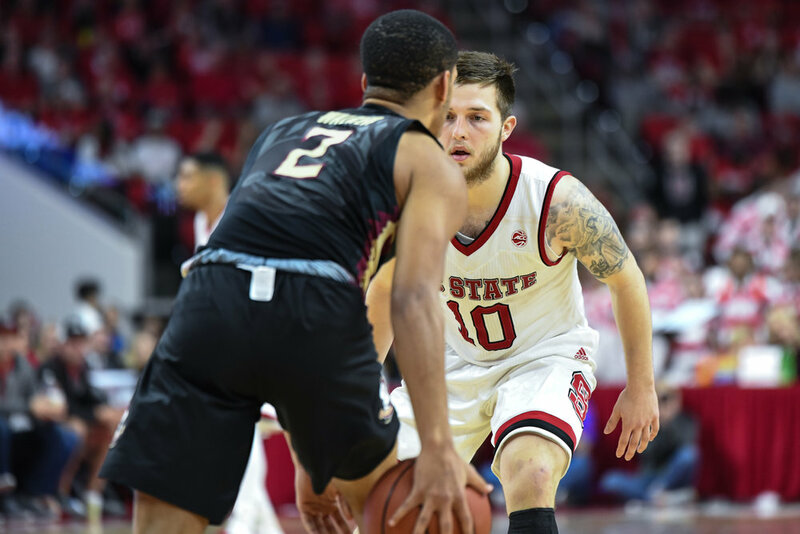 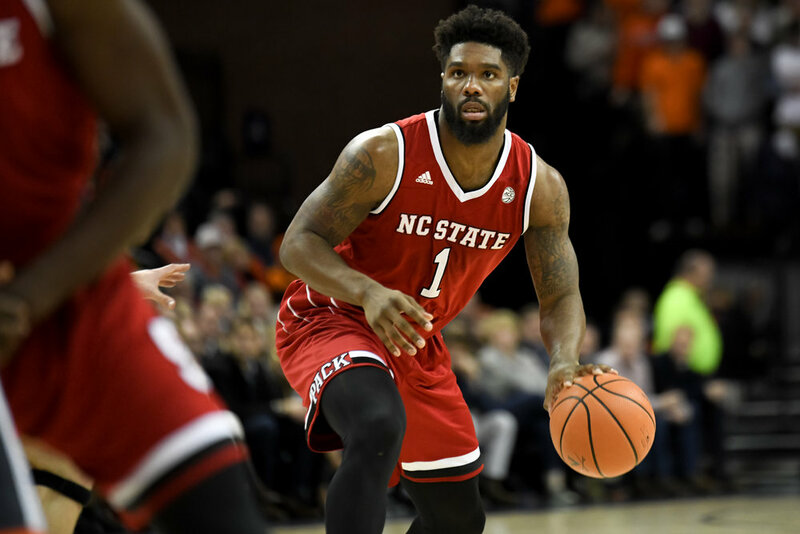 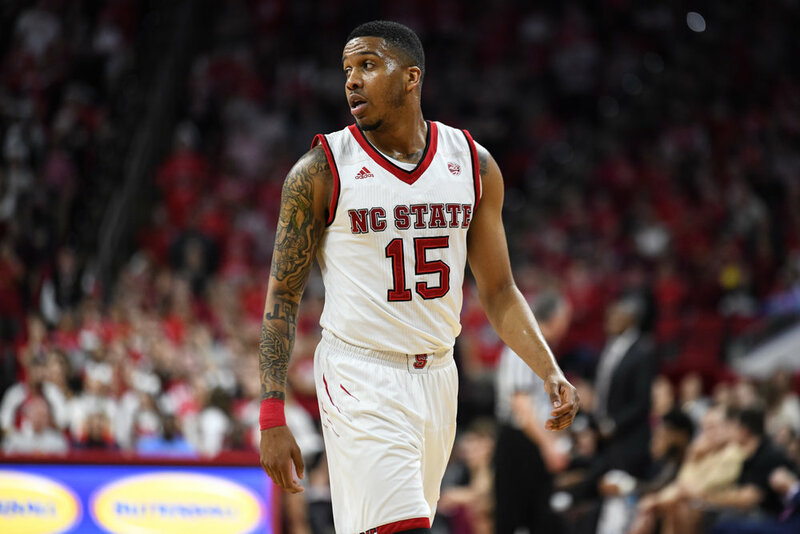 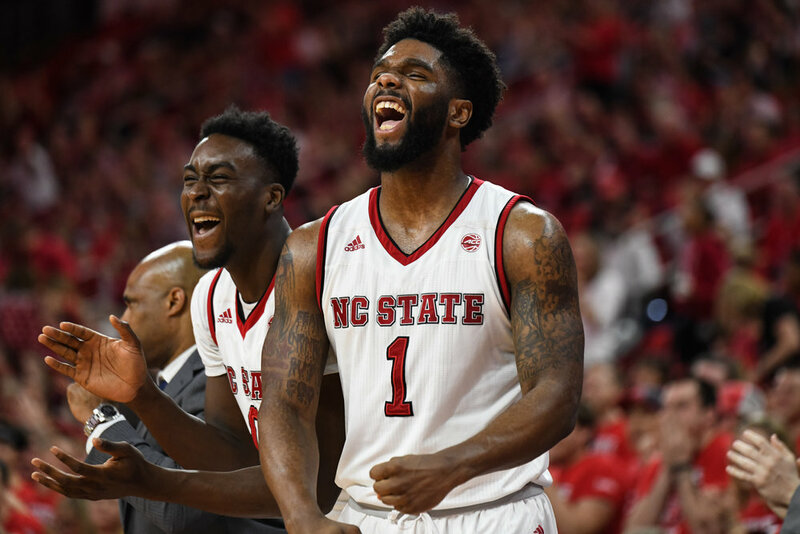 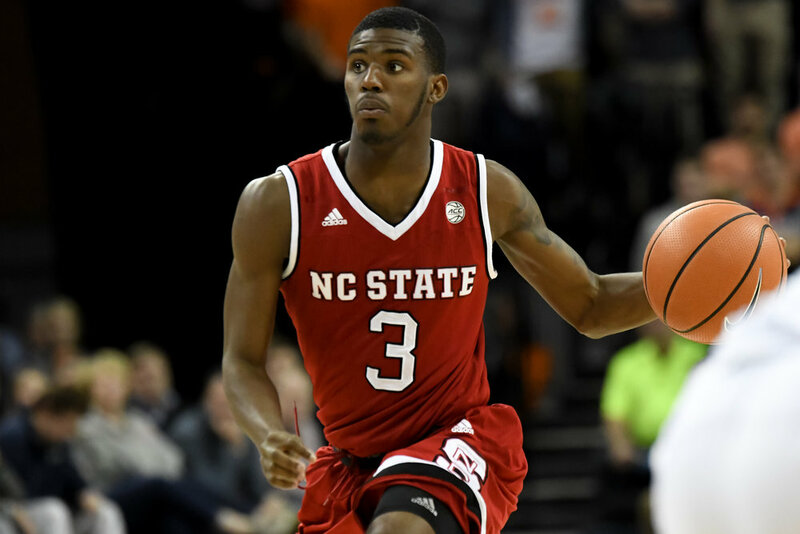 NC State defeated Boston College 82-66 in Raleigh, NC. 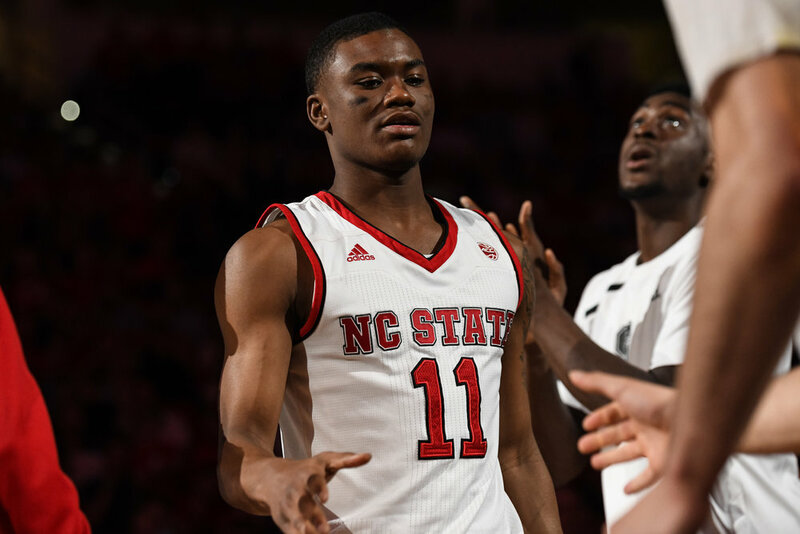 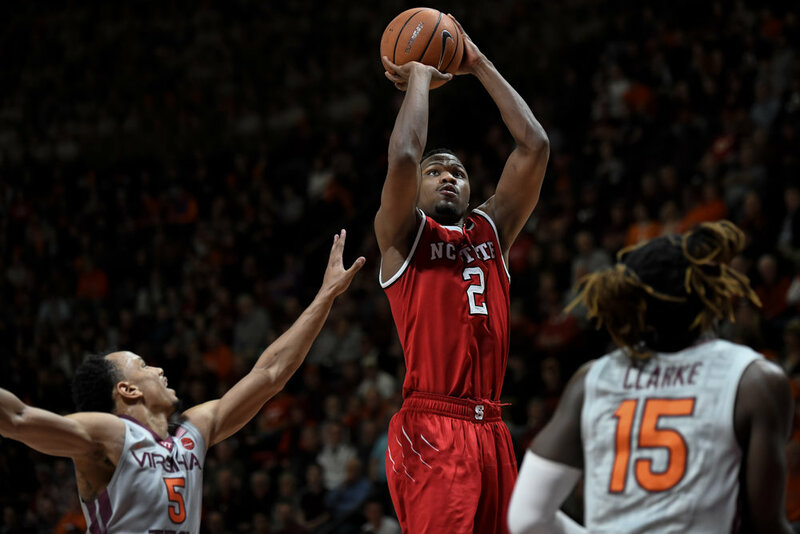 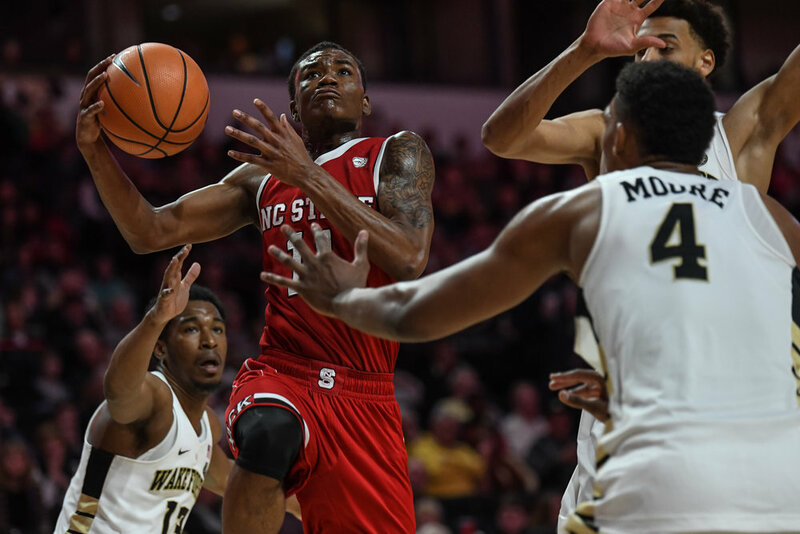 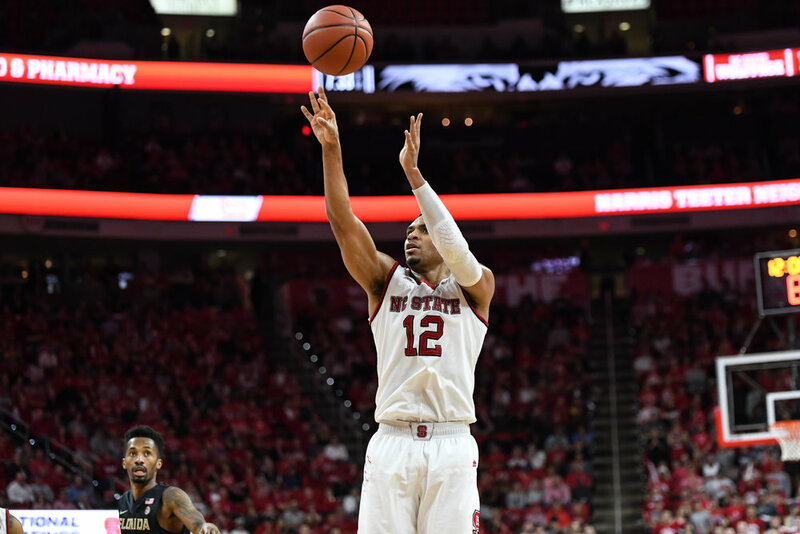 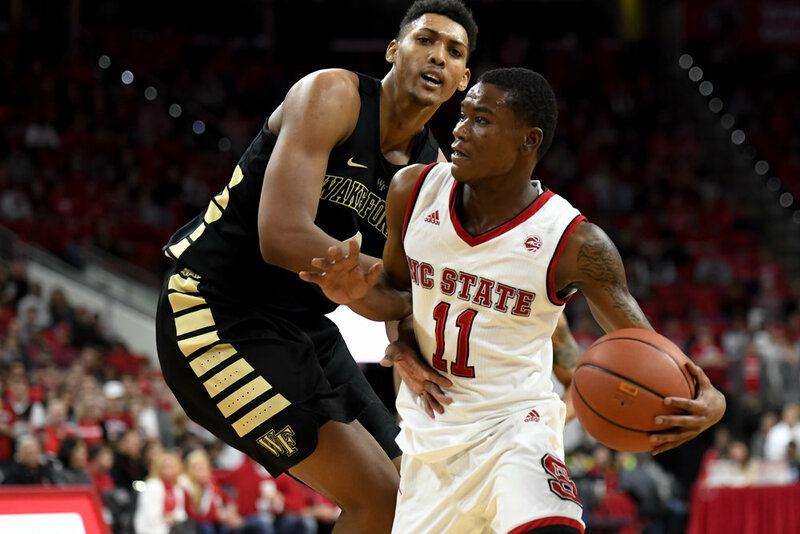 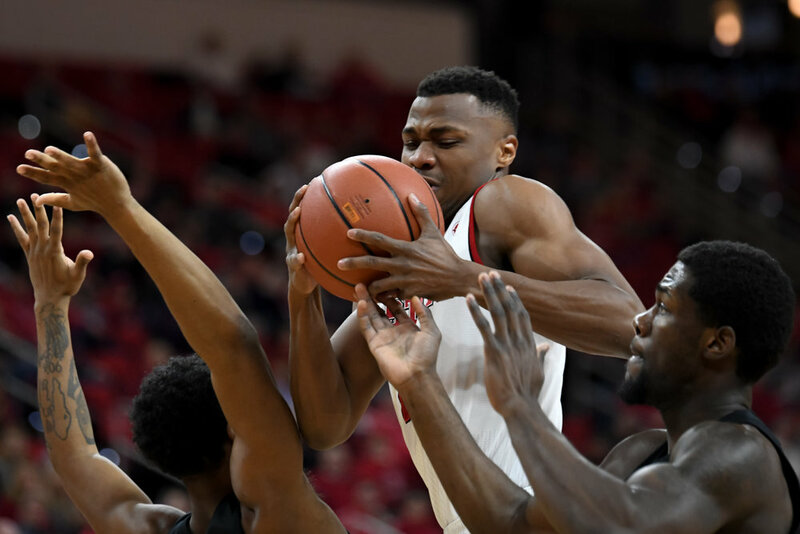 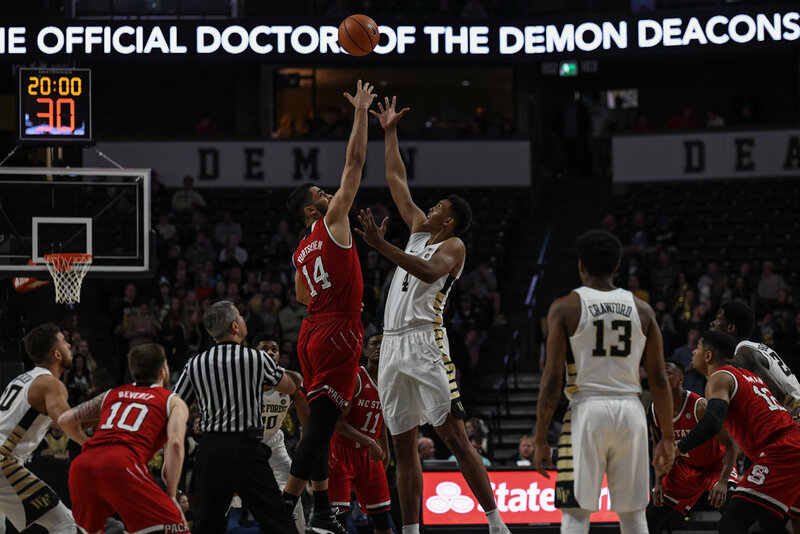 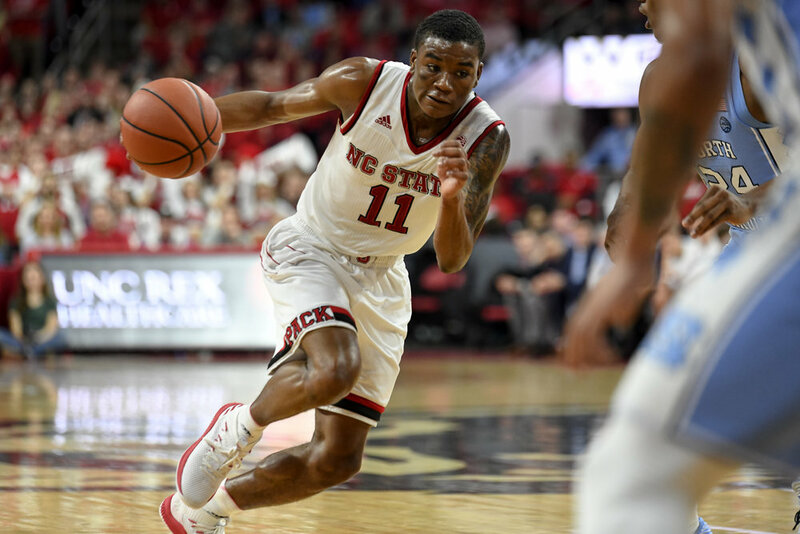 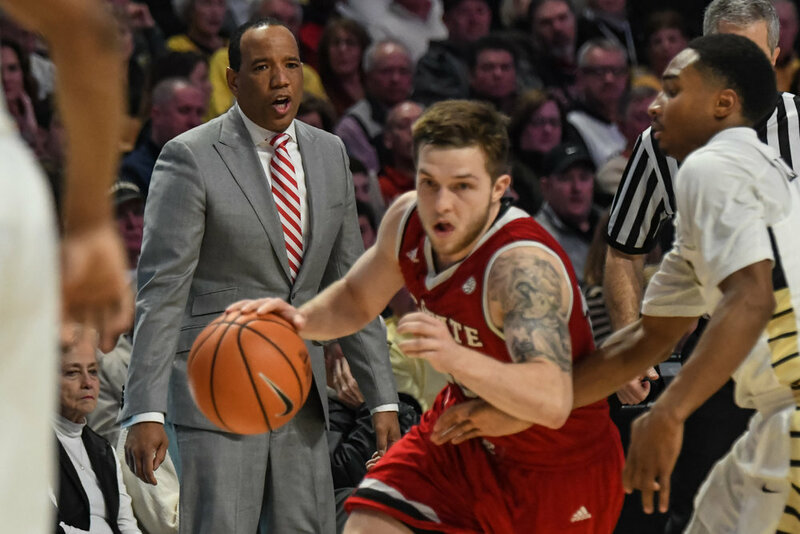 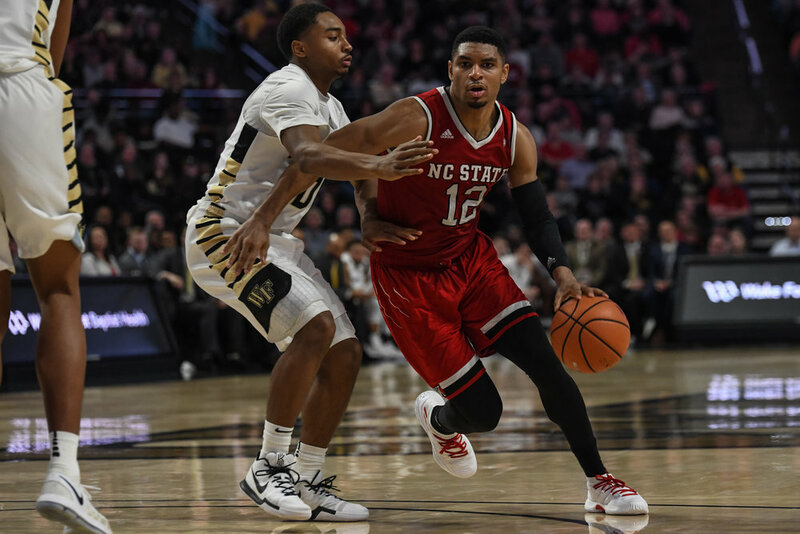 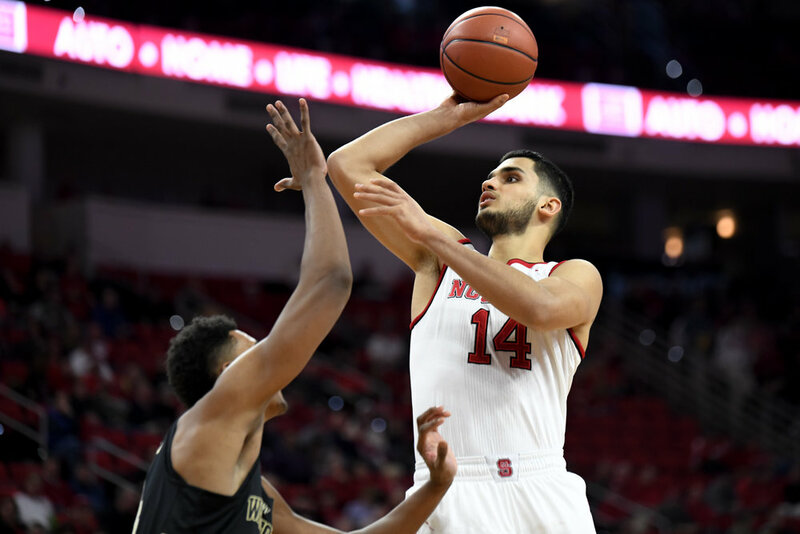 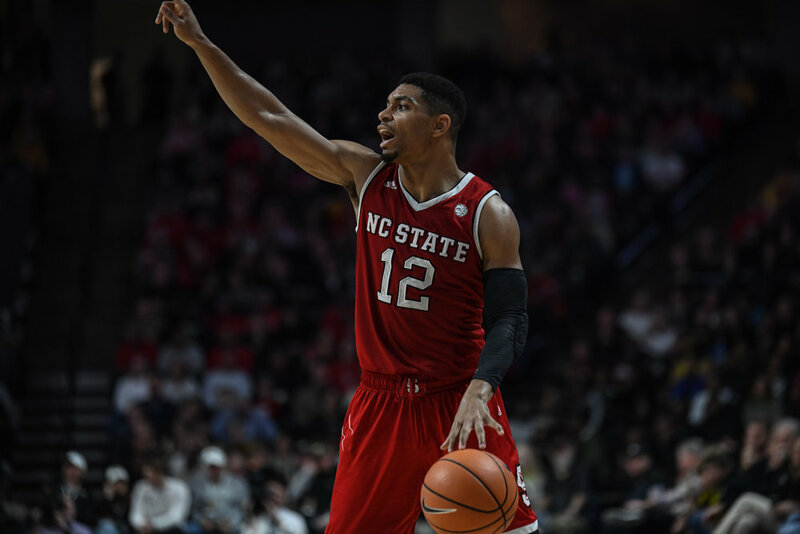 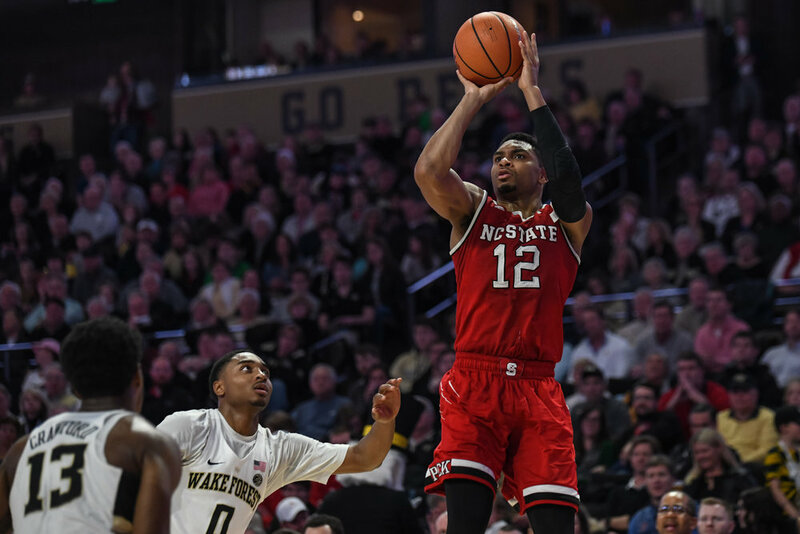 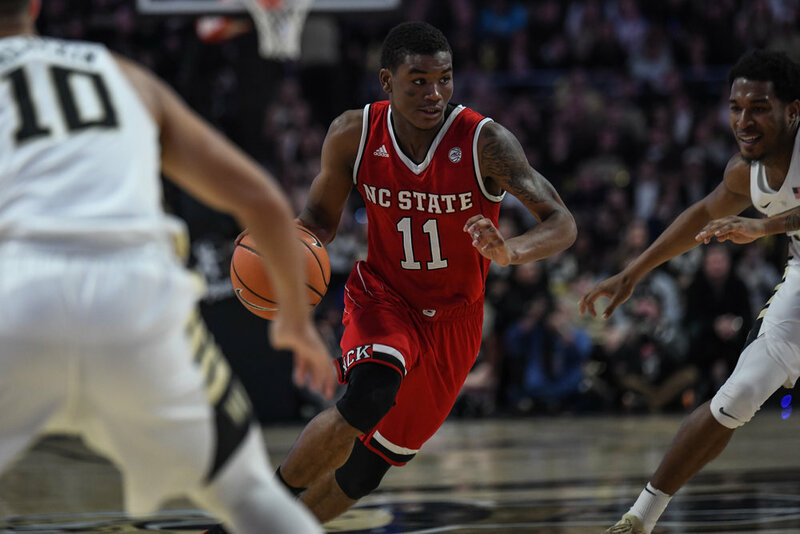 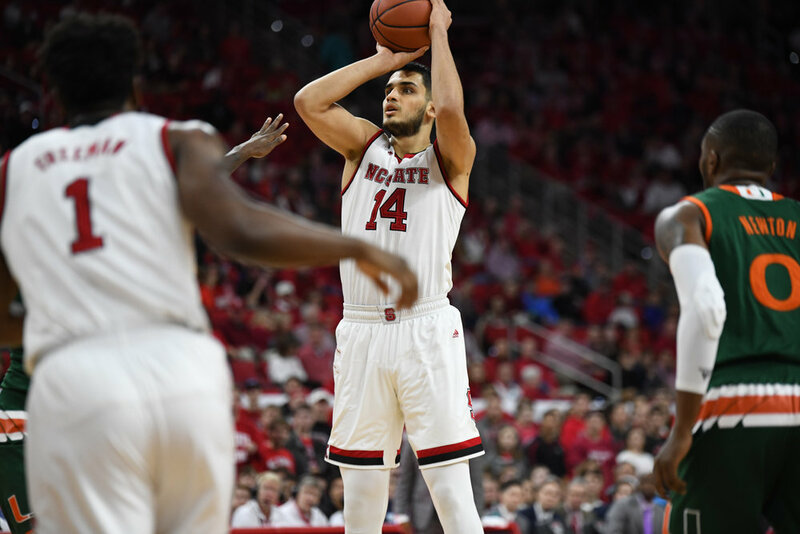 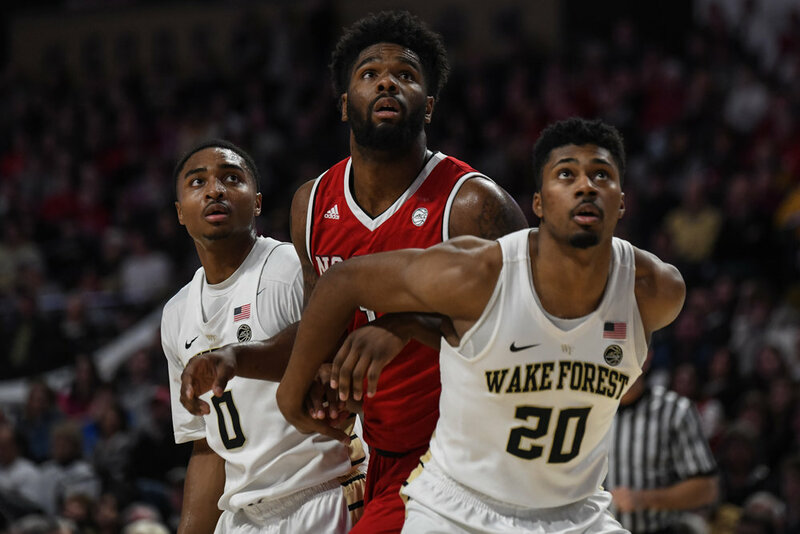 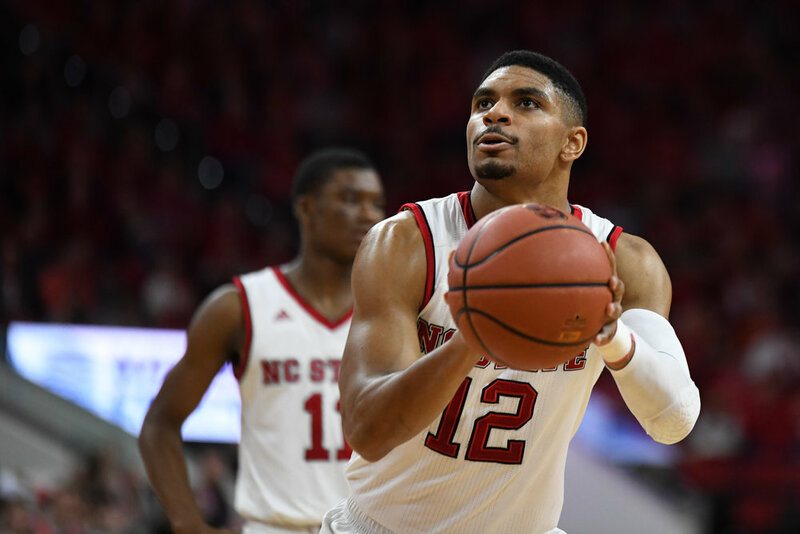 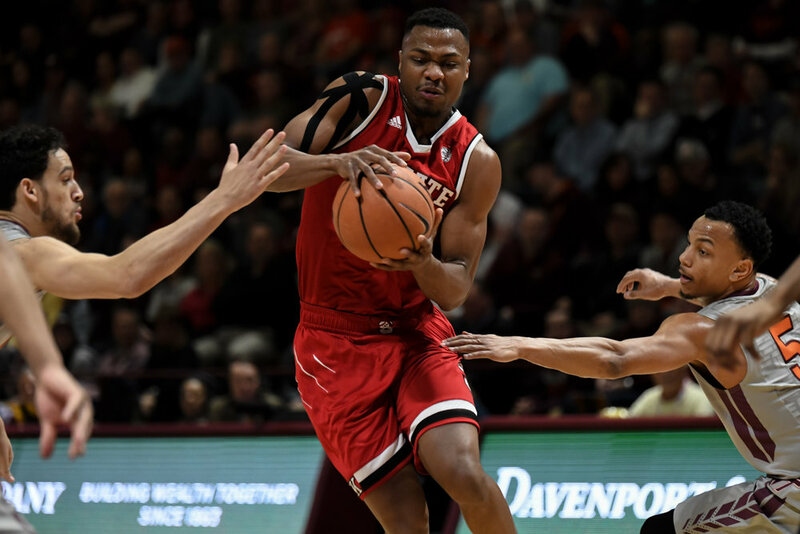 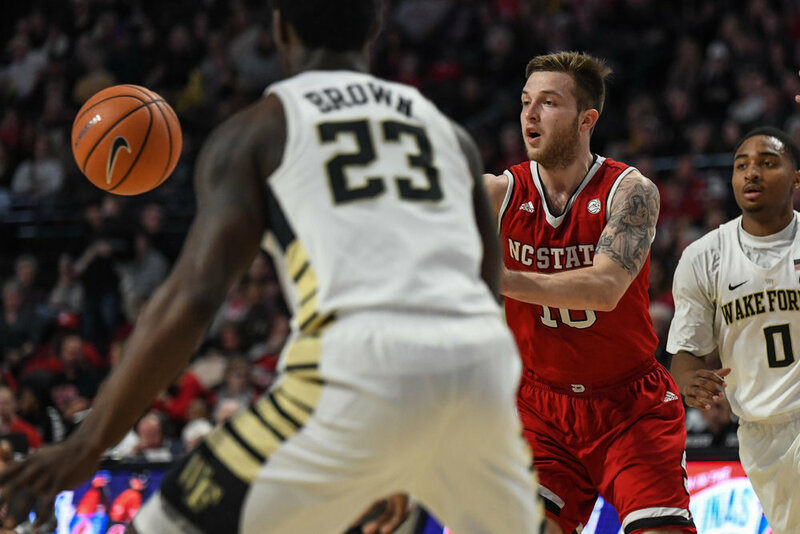 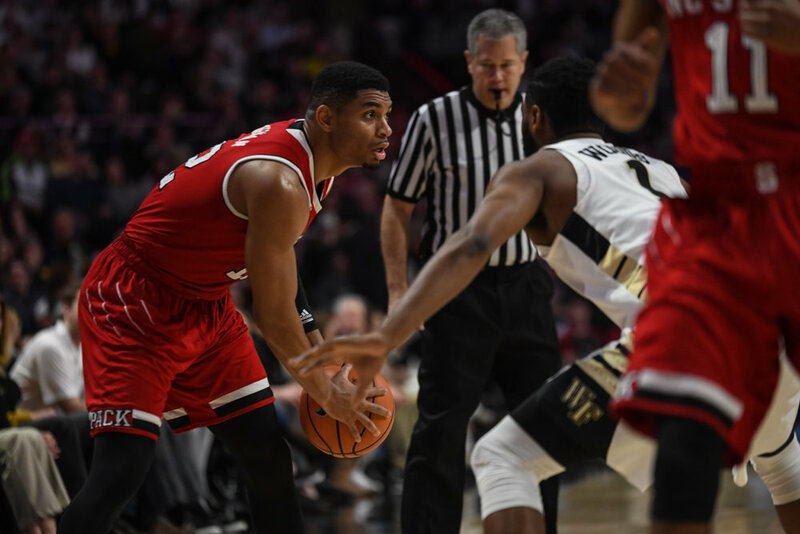 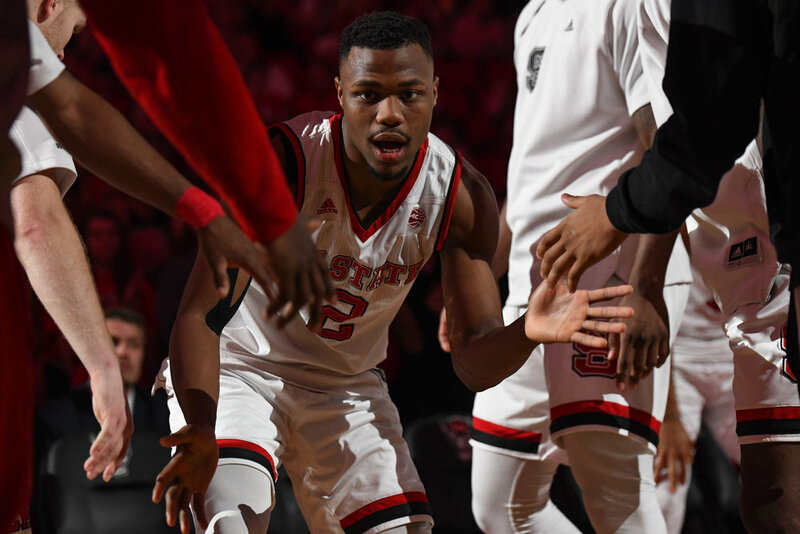 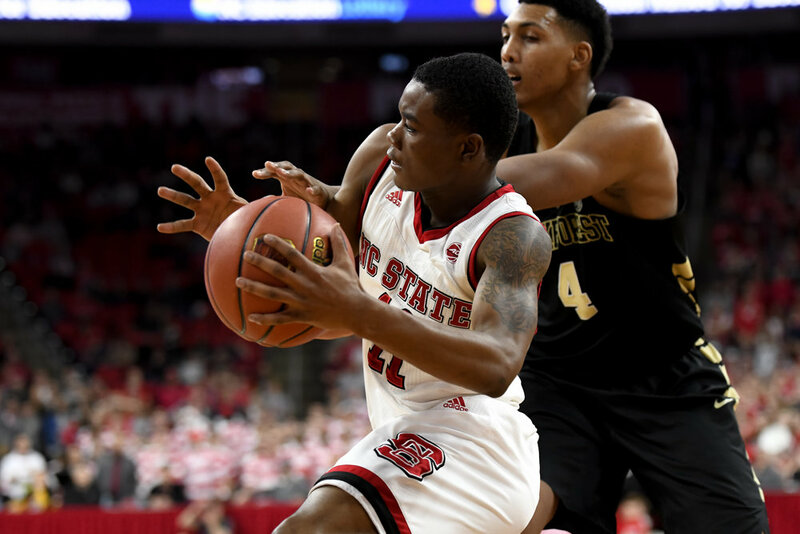 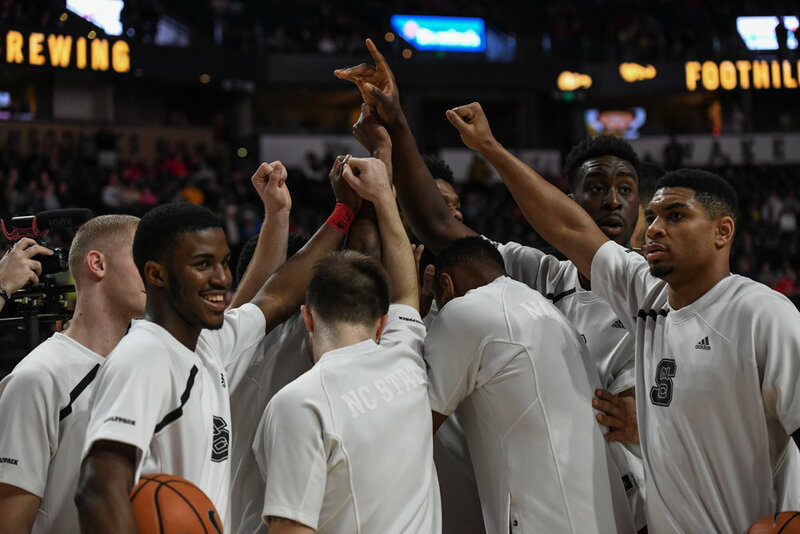 NC State defeated Wake Forest 90-84 in Winston-Salem, NC to move into 5th place in the ACC Standings and up their record to 18-9 (8-6). 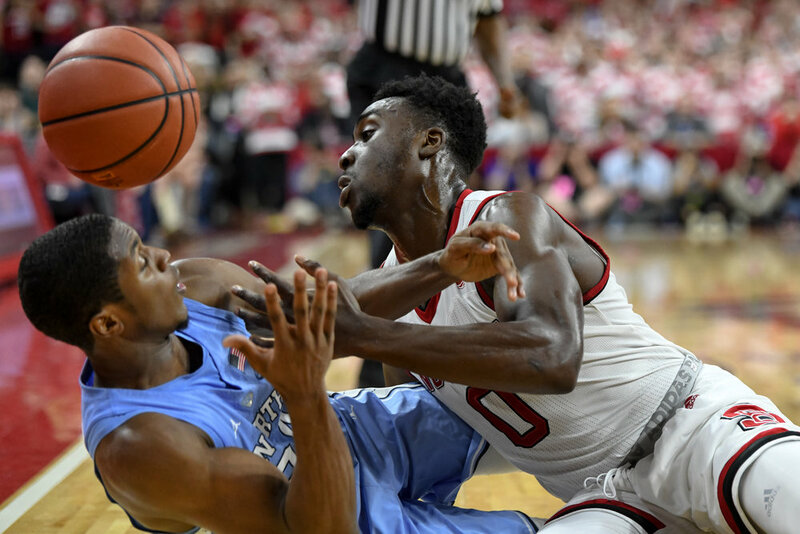 North Carolina defeated NC State in Raleigh, NC, 96-89. 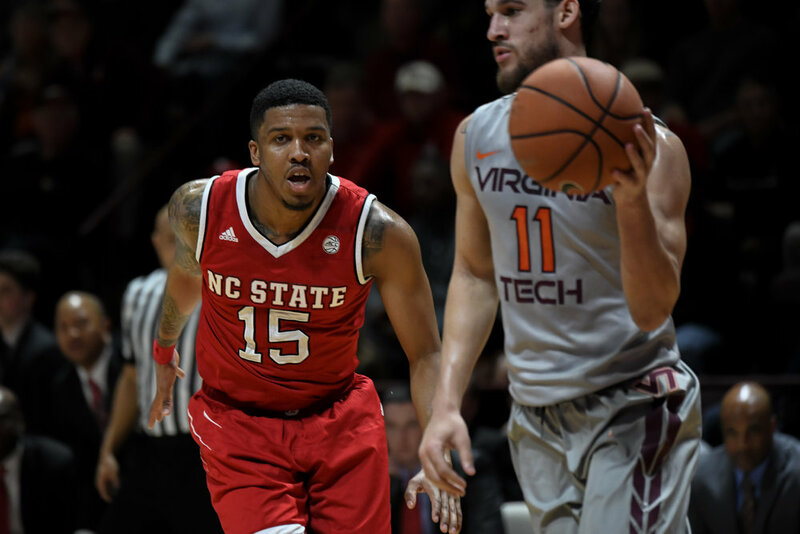 Virginia Tech defeated NC State 85-75 in Blacksburg, Va.
NC State defeated Notre Dame 76-58 in Raleigh, NC. 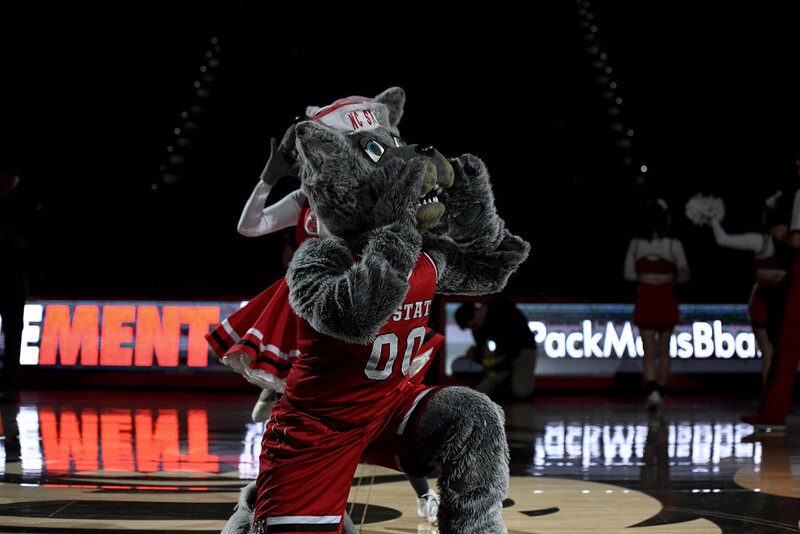 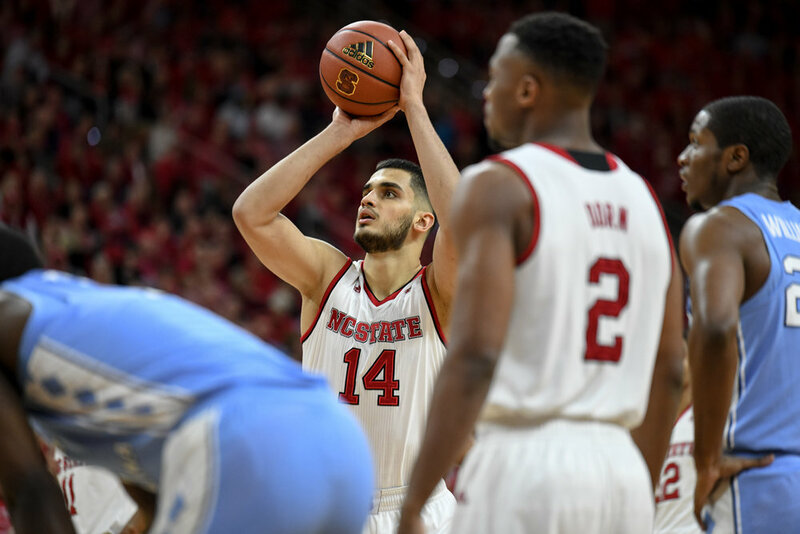 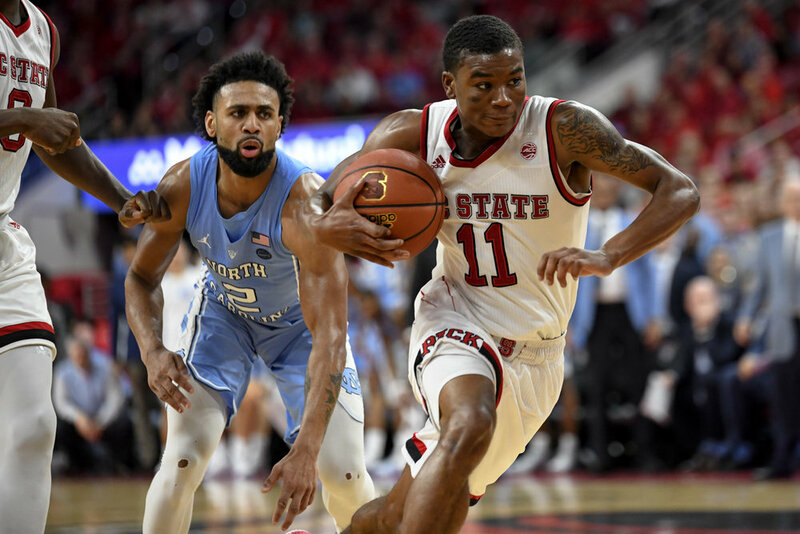 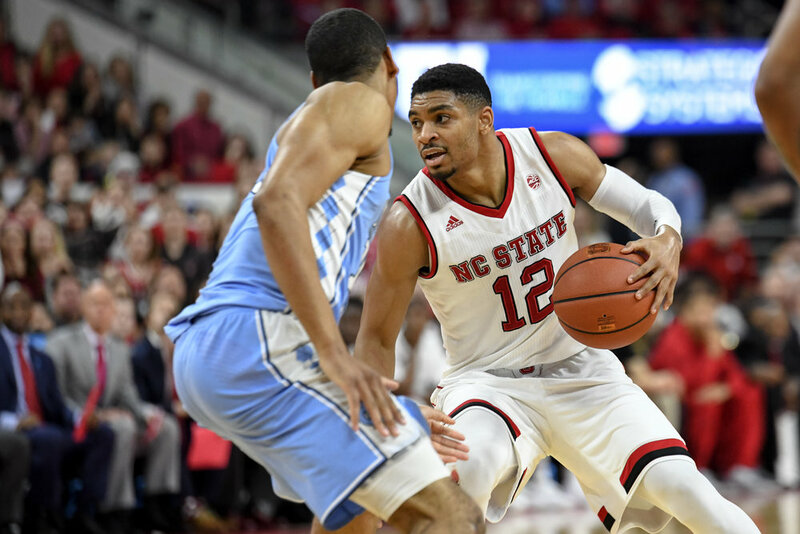 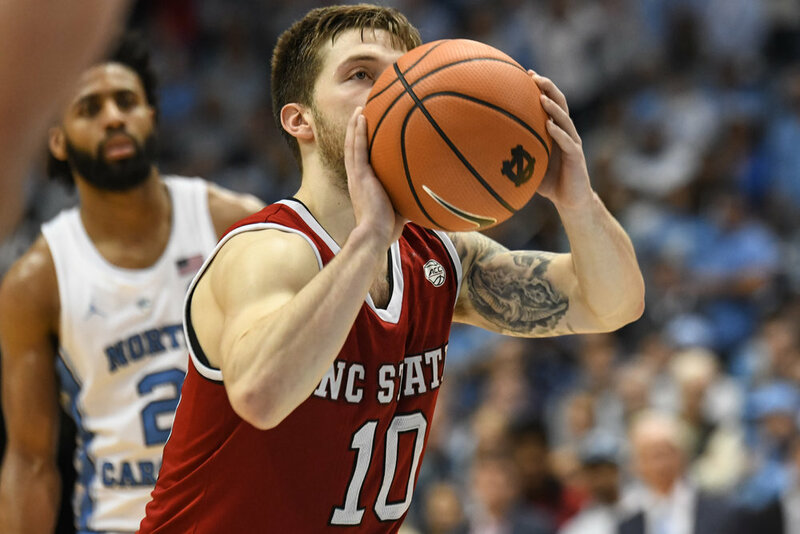 NC State defeated North Carolina in overtime, 95-91, in Chapel Hill, NC. 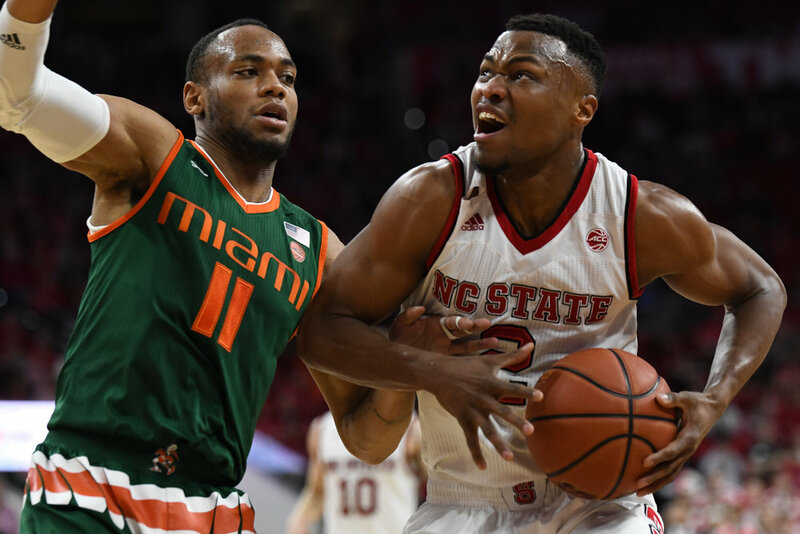 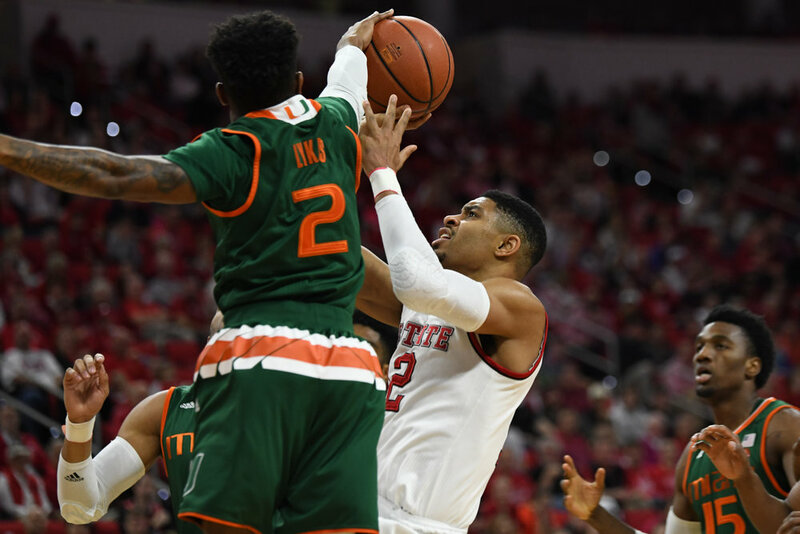 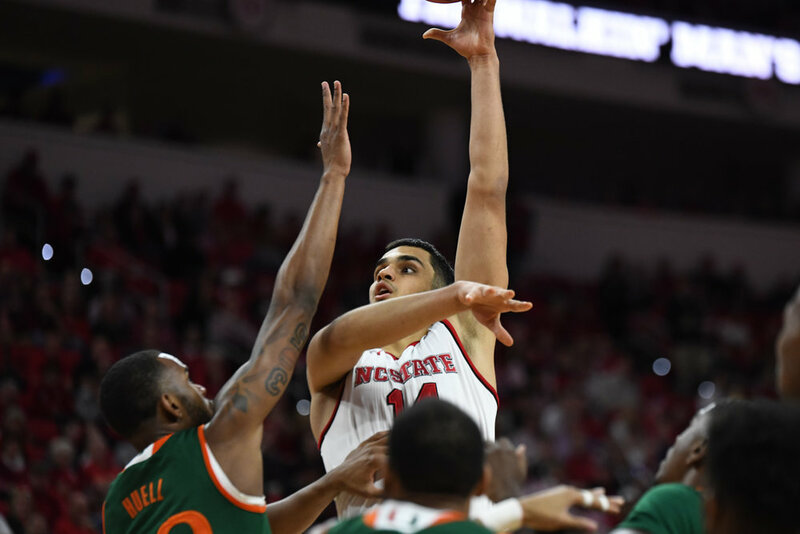 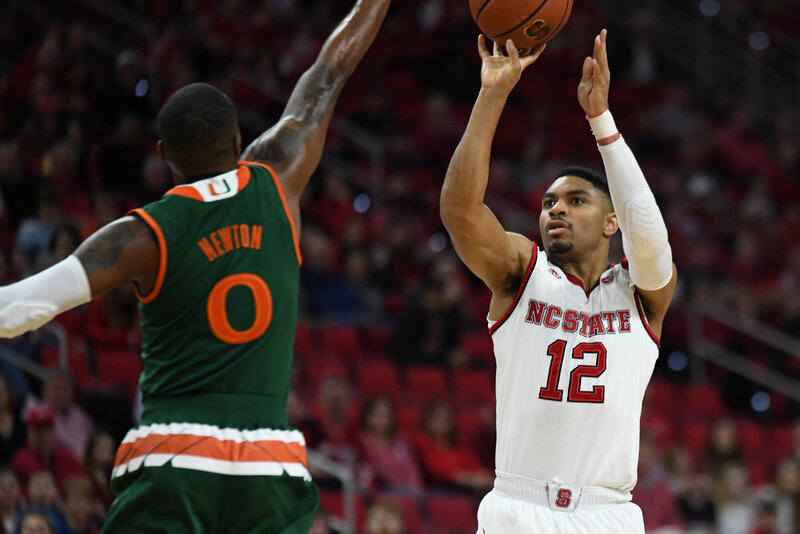 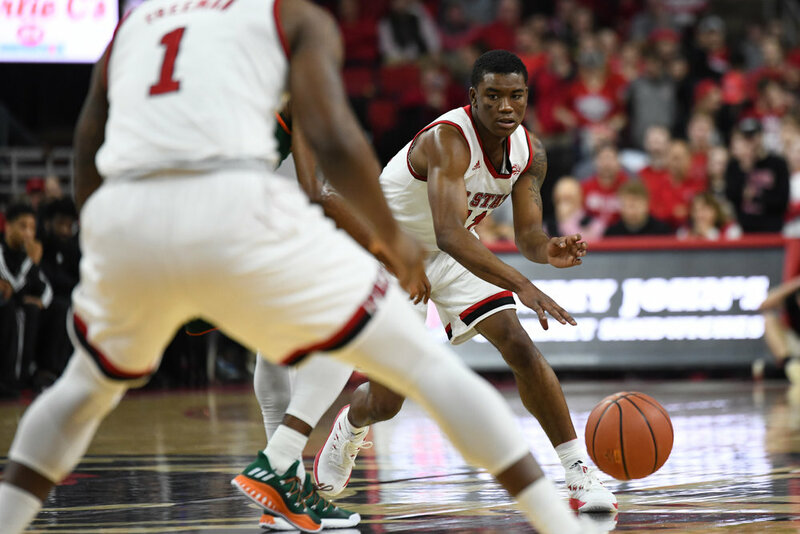 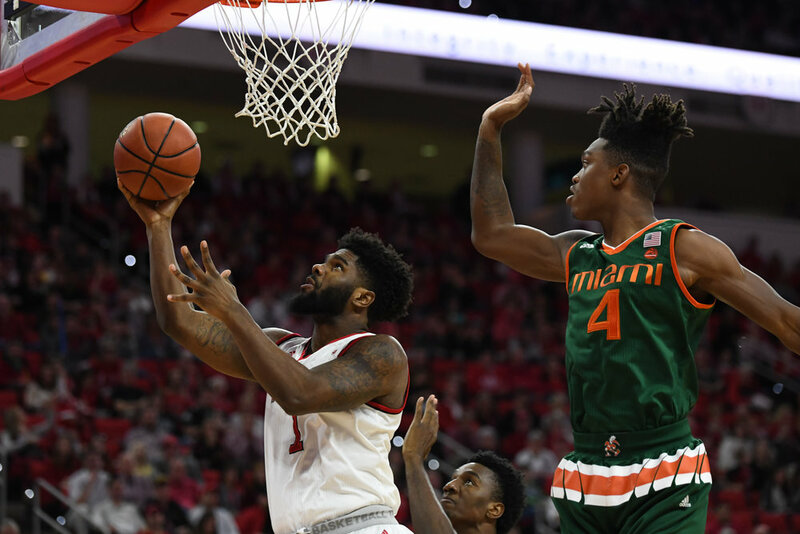 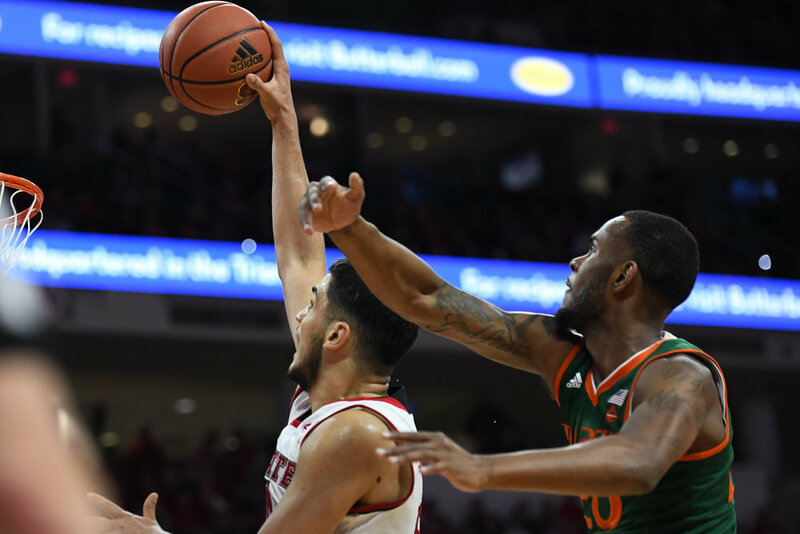 Miami defeated NC State 86-81 in Raleigh, NC. 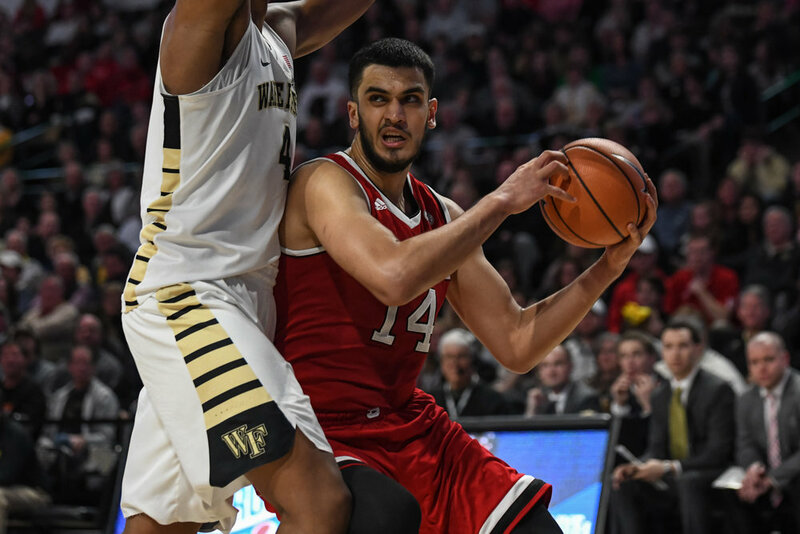 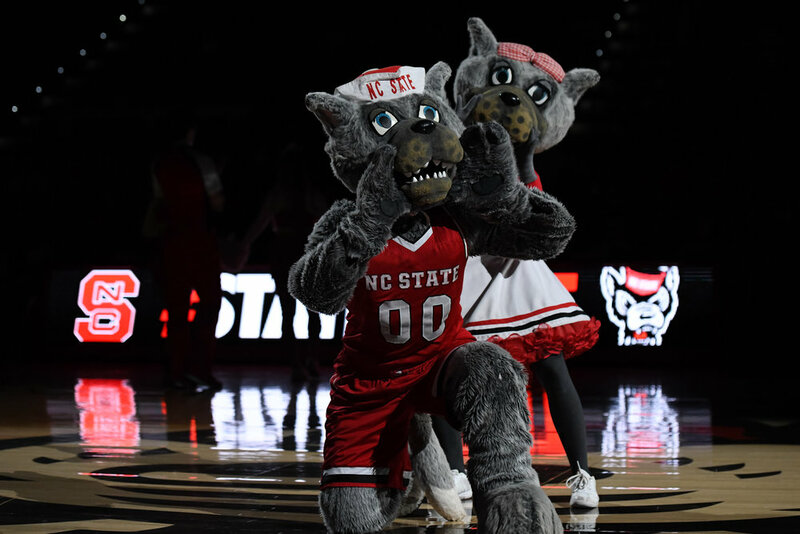 NC State defeated Wake Forest 72-63 in Raleigh, NC. 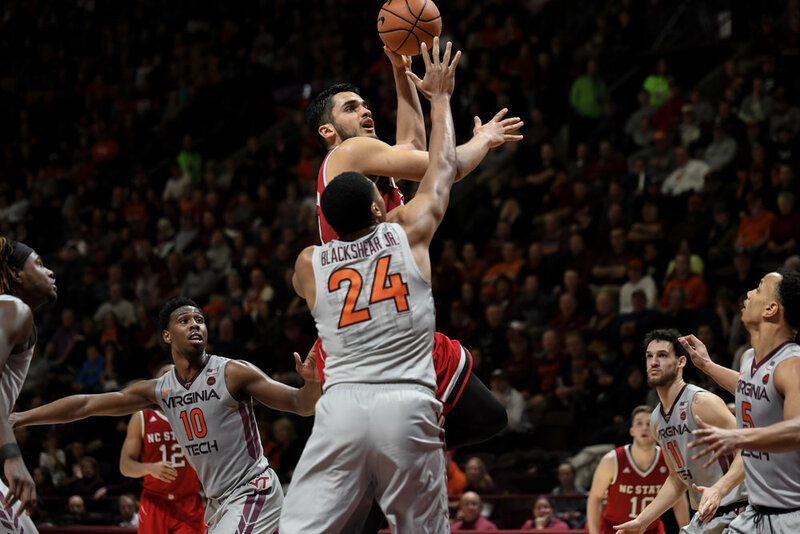 Virginia defeated NC State 68-51 in Charlottesville, Va.